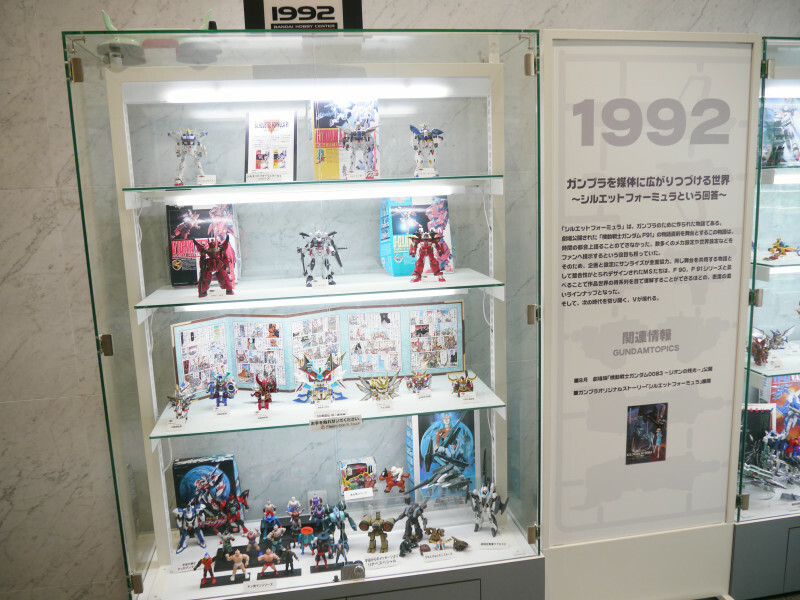 Mobile Suit Gundam started airing in 1979 so the year 2009 was the series's 30th anniversary, as you can recall many commemorative events held last year, including the life-sized Odaiba Gundam exhibit. 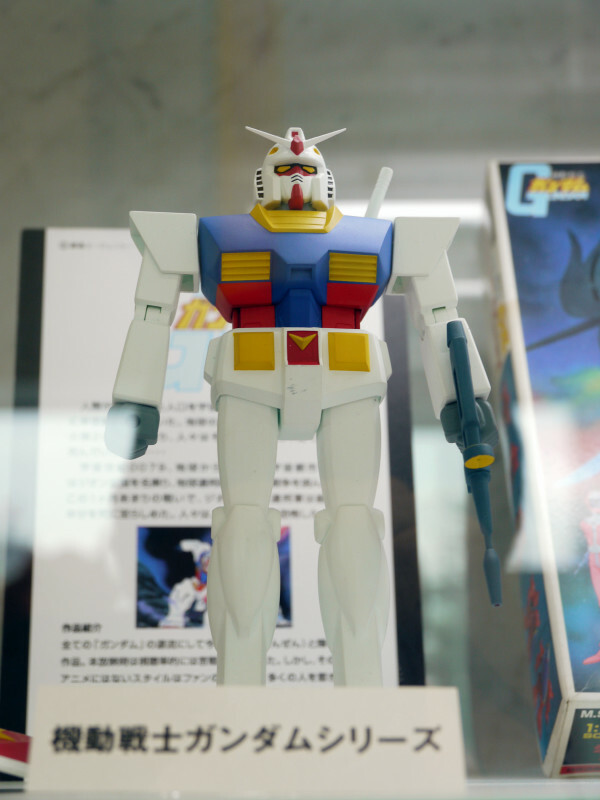 As for this year, 2010 is the 30th anniversary year of Gunpla(Gundam plastic model kits), the first of which came out in July, 1980. 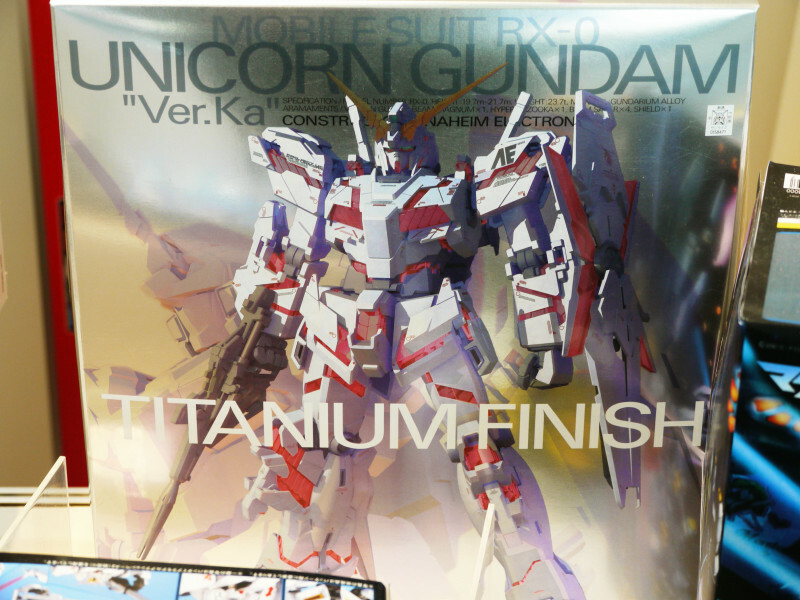 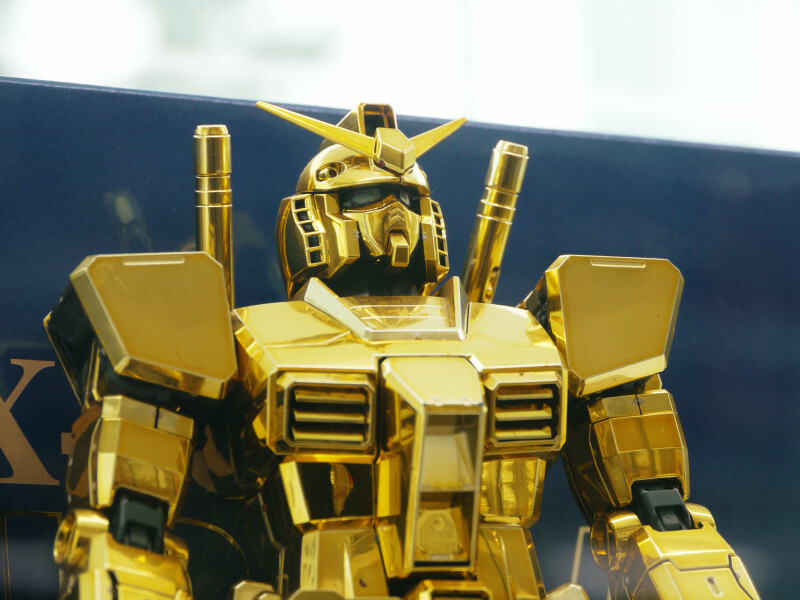 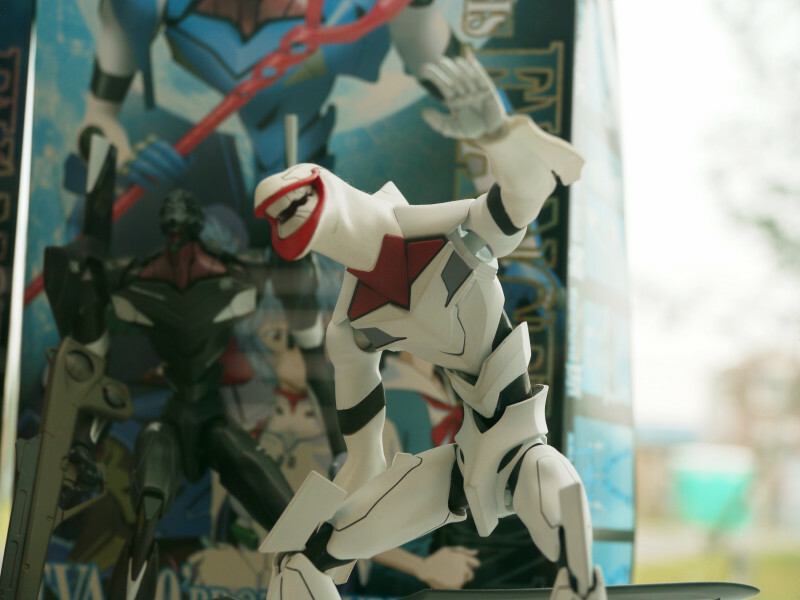 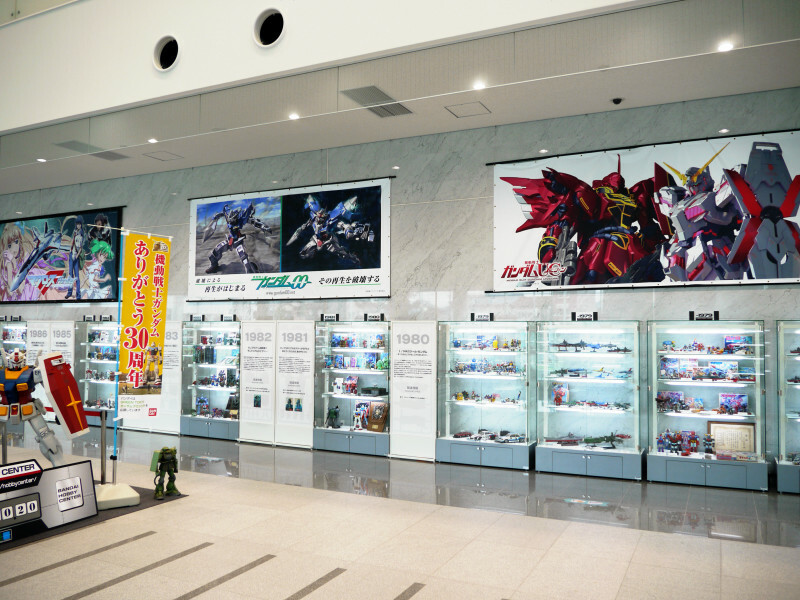 Gunpla is undoubtedly one of the most successful lines of products by Bandai. 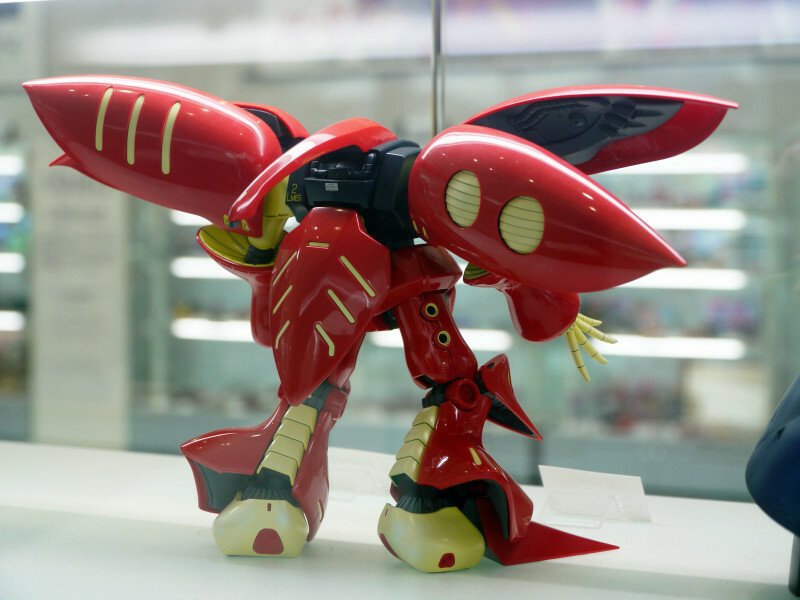 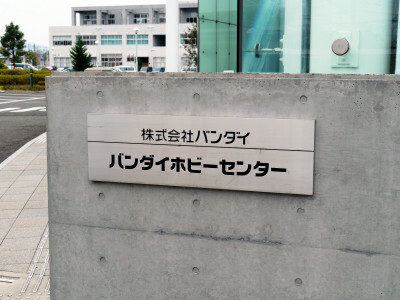 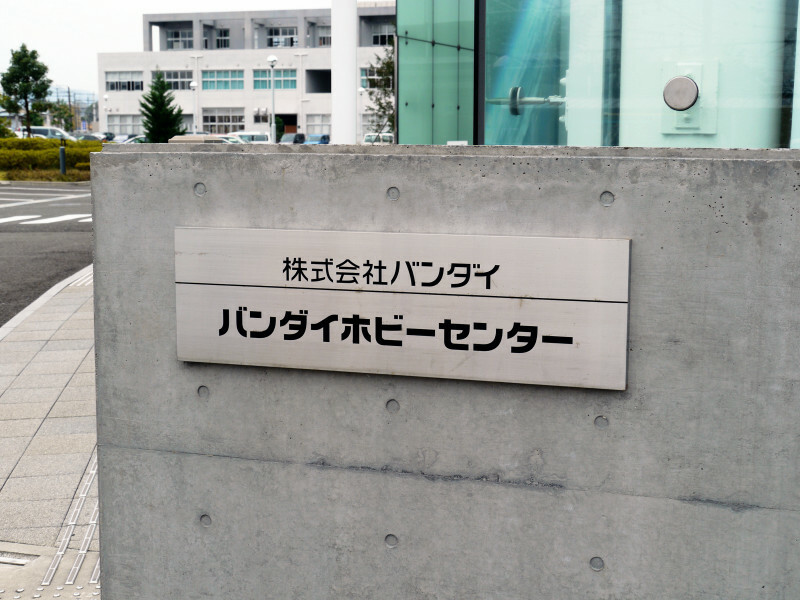 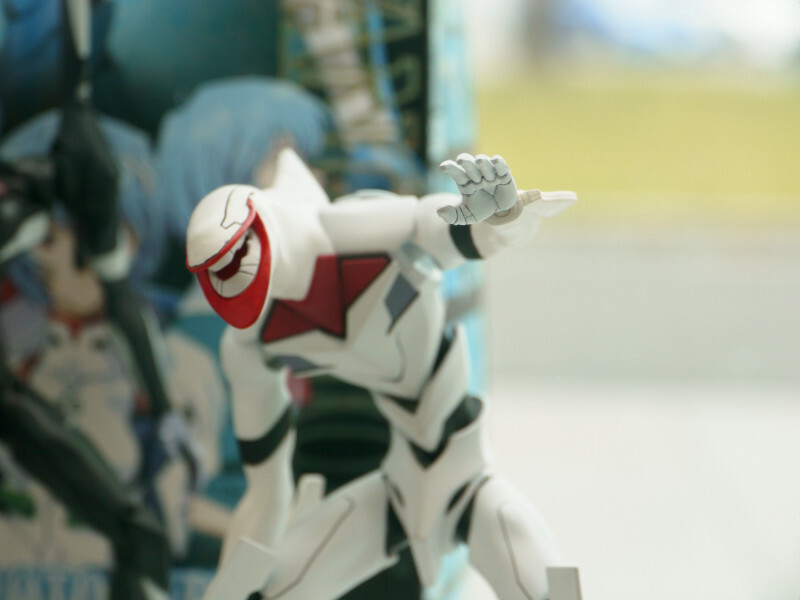 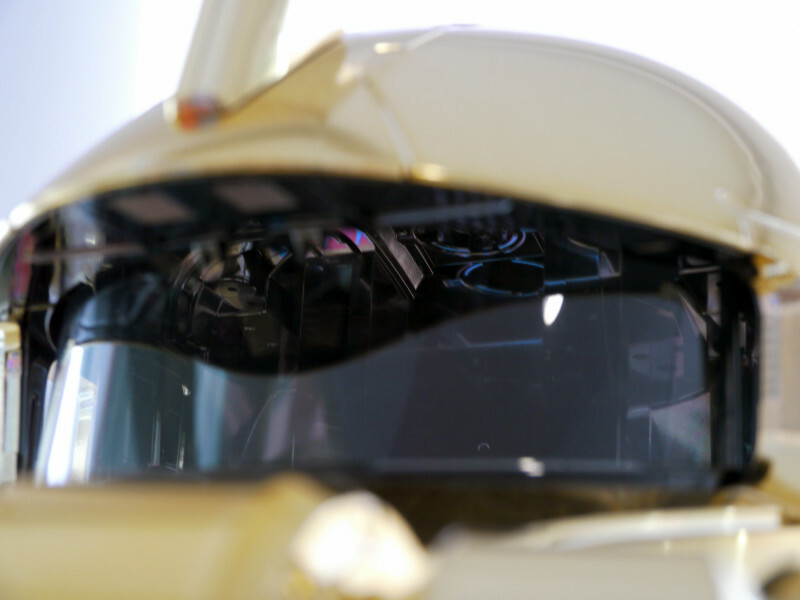 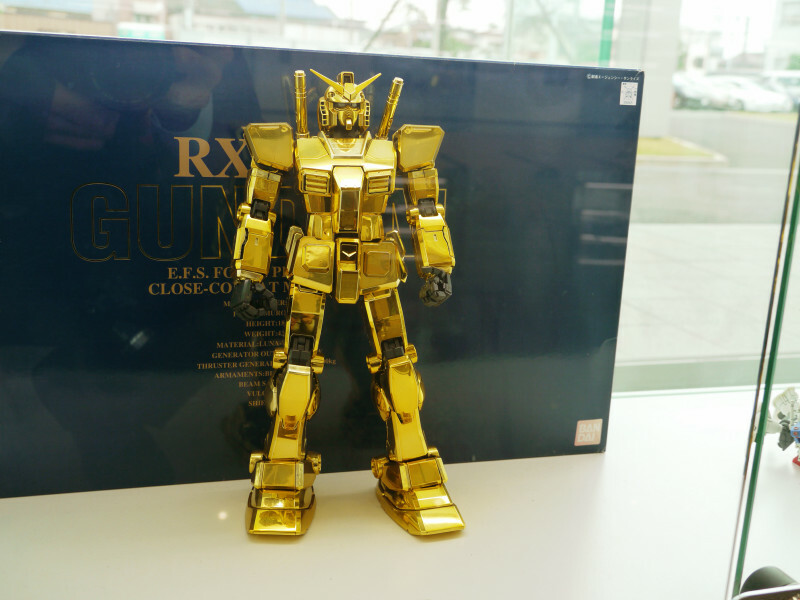 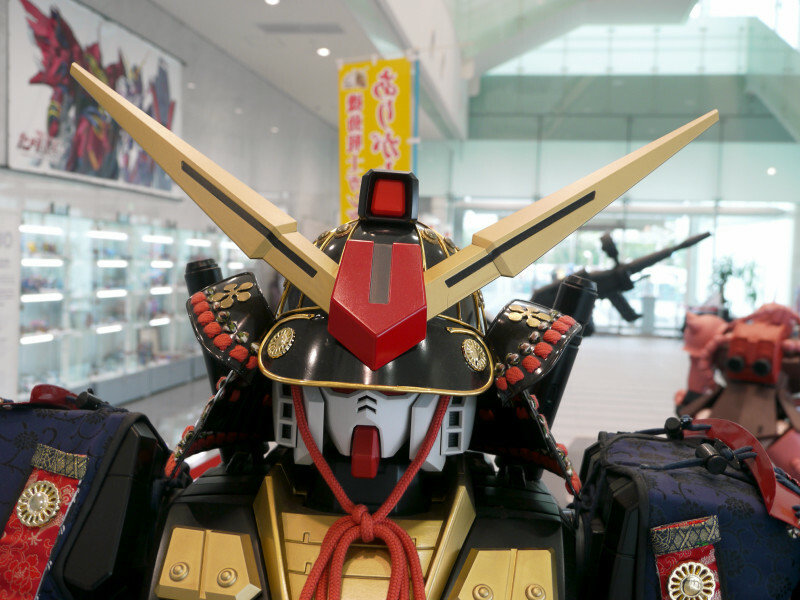 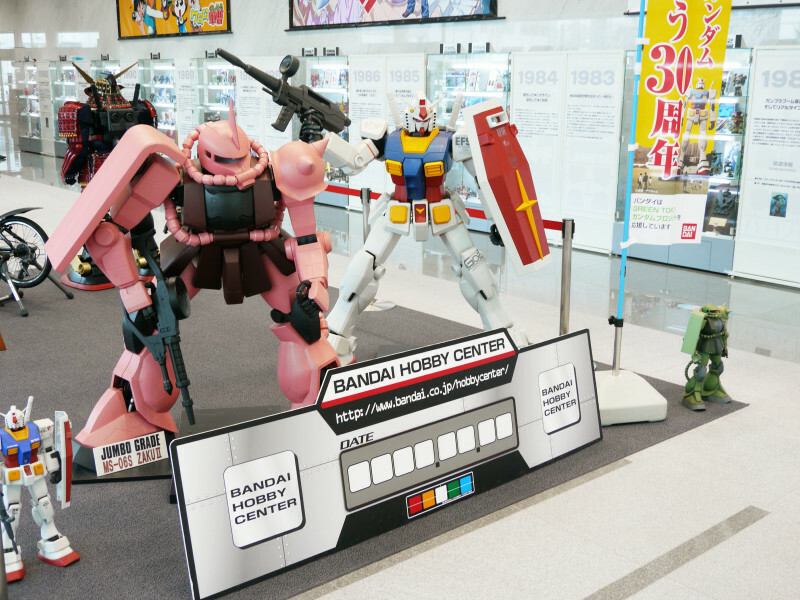 Unlike Bandai's many other products manufactured overseas, Gunplas are produced exclusively in Japan at Bandai Hobby Center in Shizuoka, the sole Gunpla factory in the world. 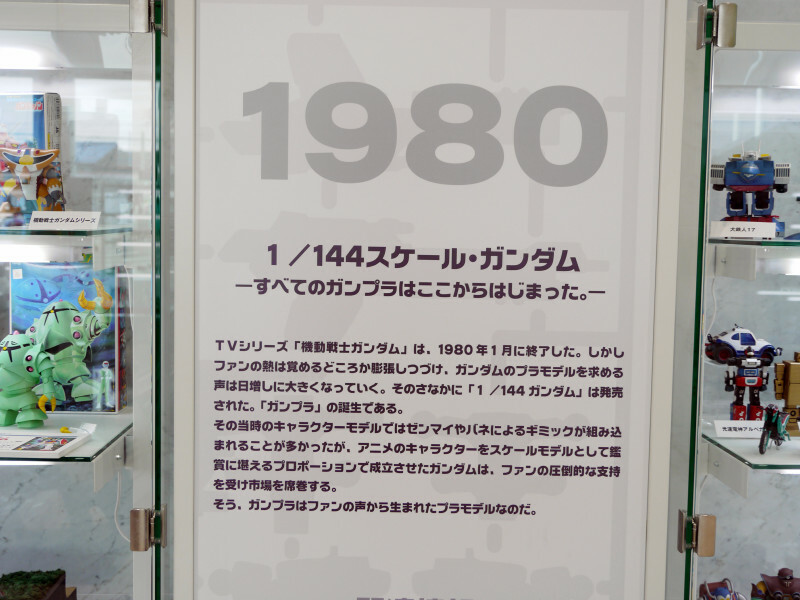 Lately we visited there on business and took a tour, looking back at the 30 years history. 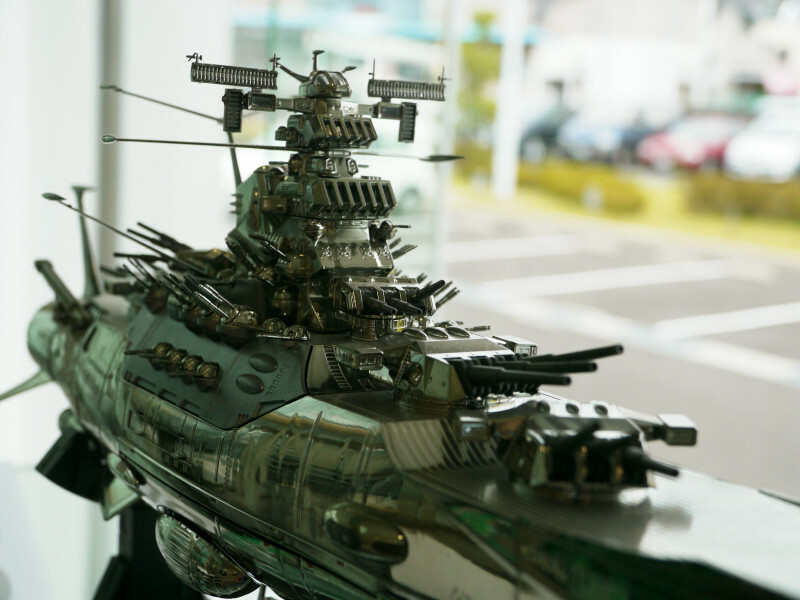 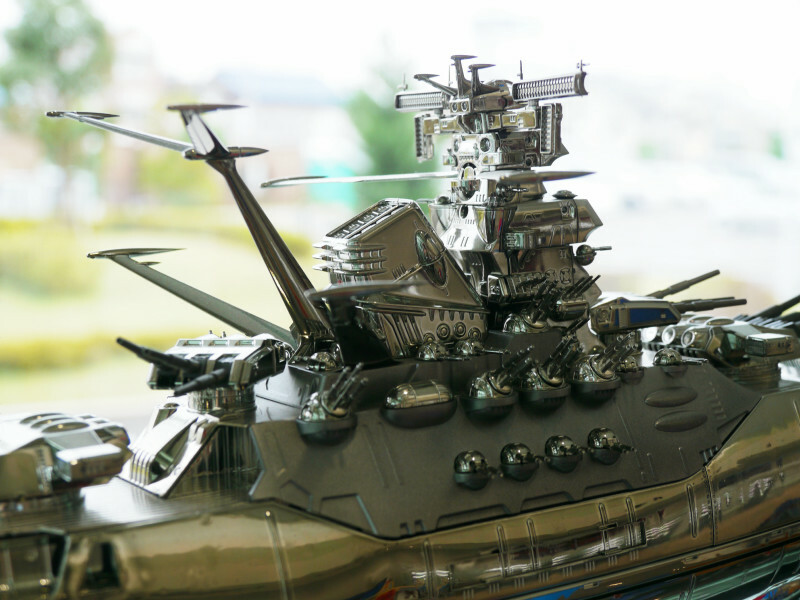 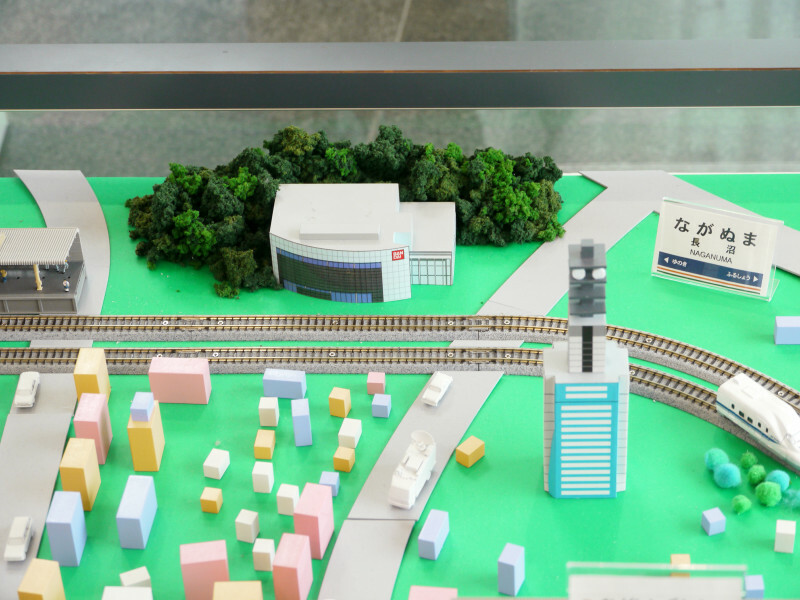 Bandai Hobby Center is located in Aoi-ku, Shizuoka, Shizuoka. 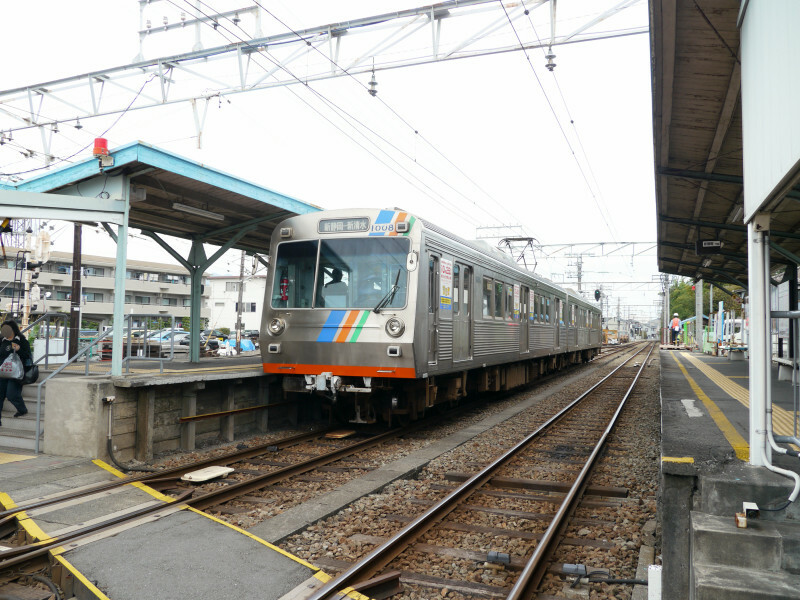 1-minute walk from Naganuma Station of the Shizuoka Railway Shizuoka-Shimizu Line. 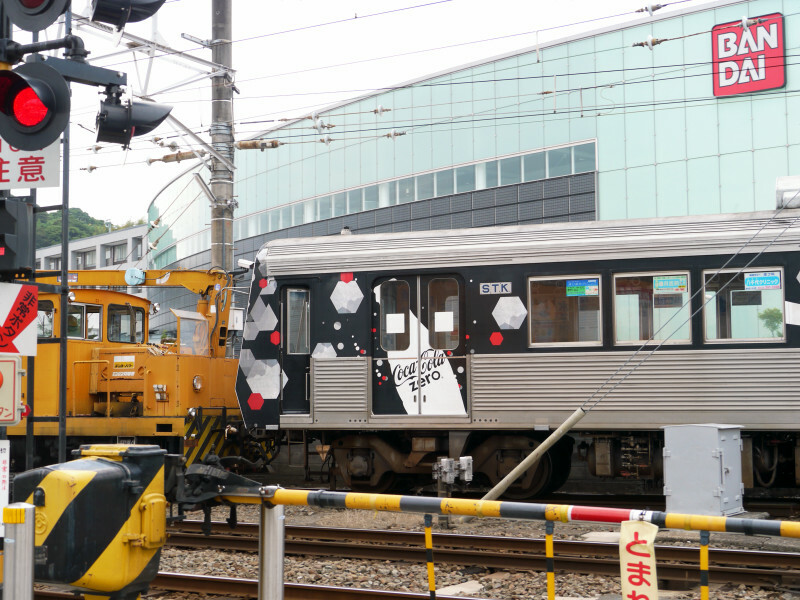 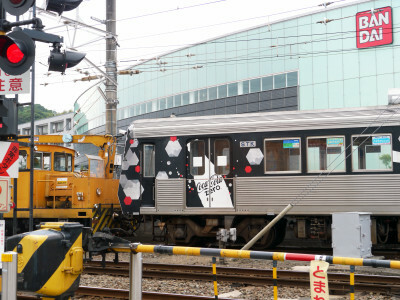 An empty car with Coca Cola ad was being towed to Shizuoka Railway's Naganuma Factory next to the station. 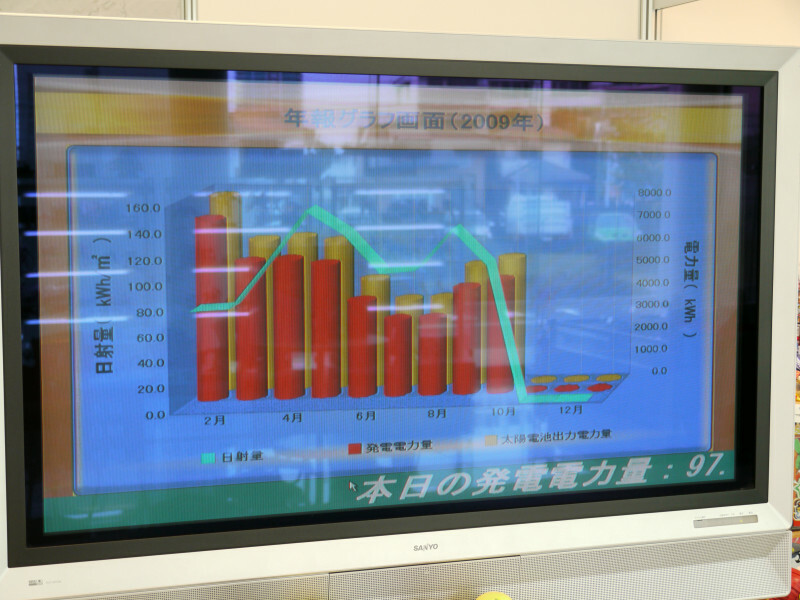 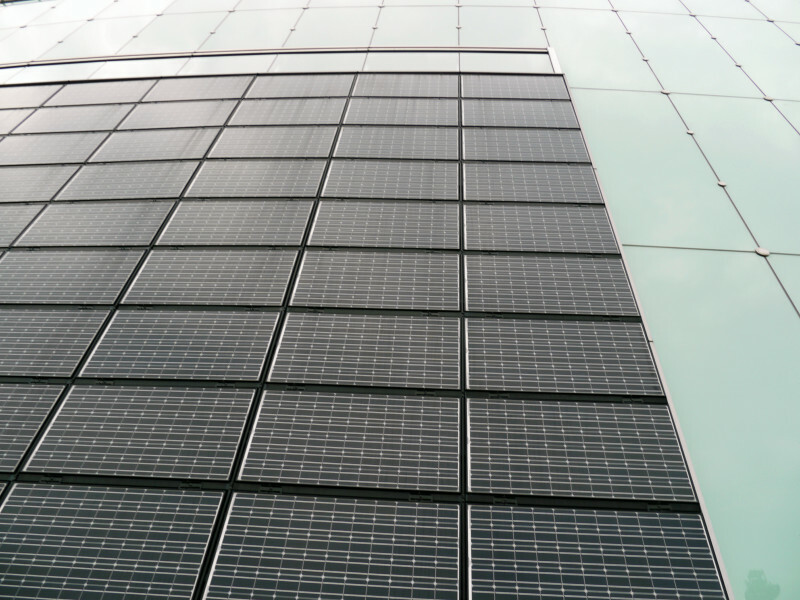 The energy production was monitored. 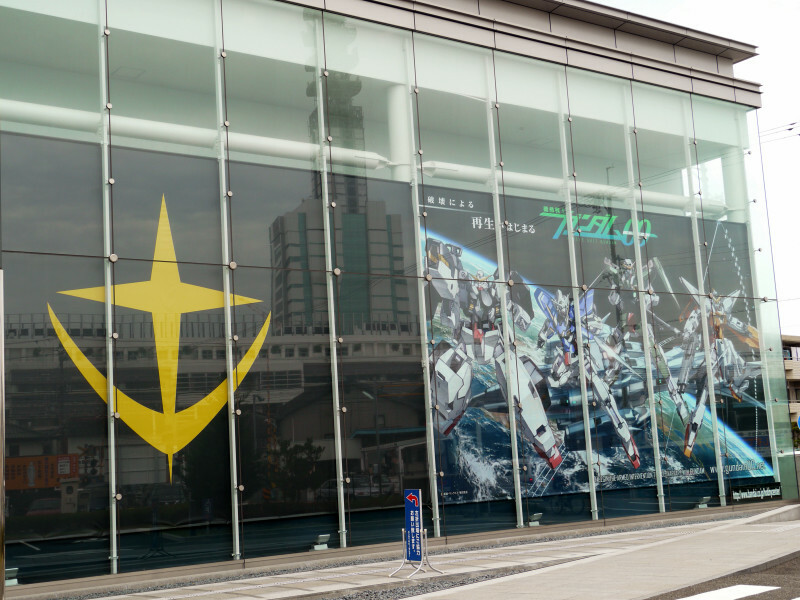 Symbol of the Earth Federation and a poster showing mobile suits from Gundam 00. 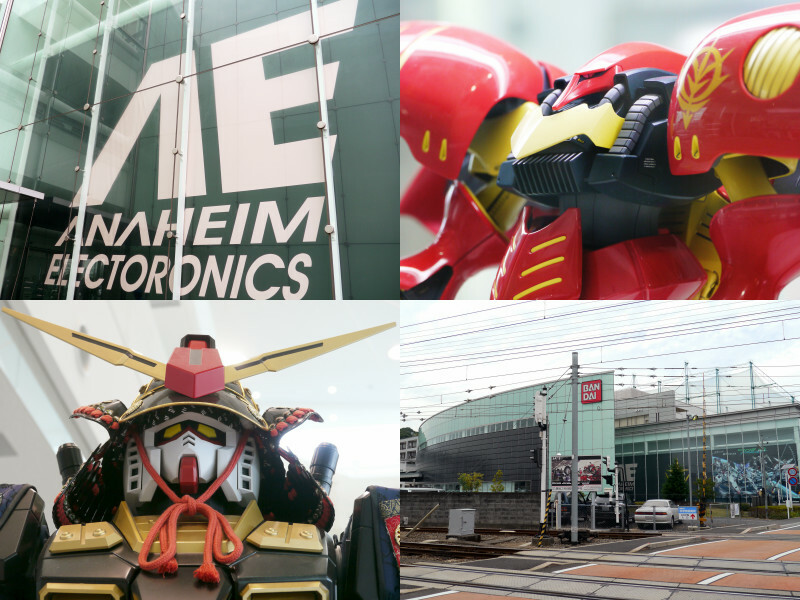 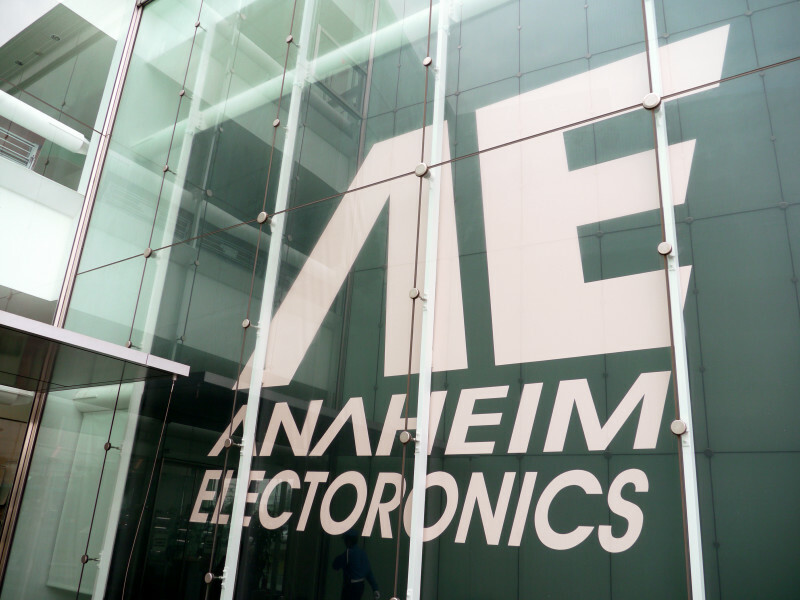 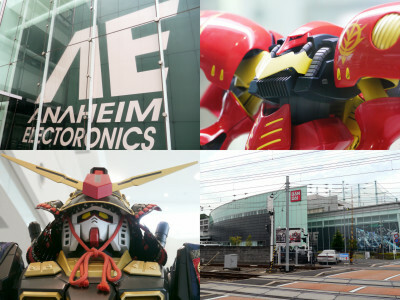 We thought this was Bandai's factory, but in fact it might be Anaheim Electronics'. 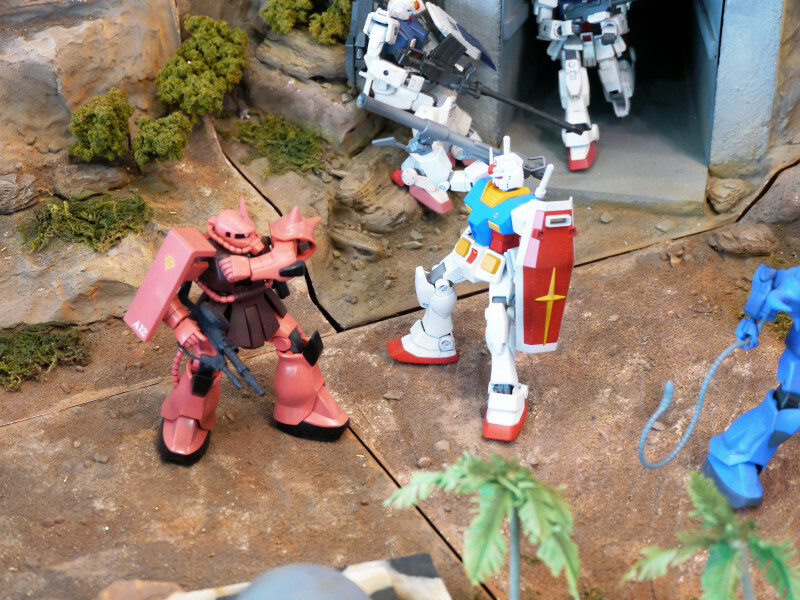 Char's Commander type Zaku and RX-78 Gundam greets you at the entrance. 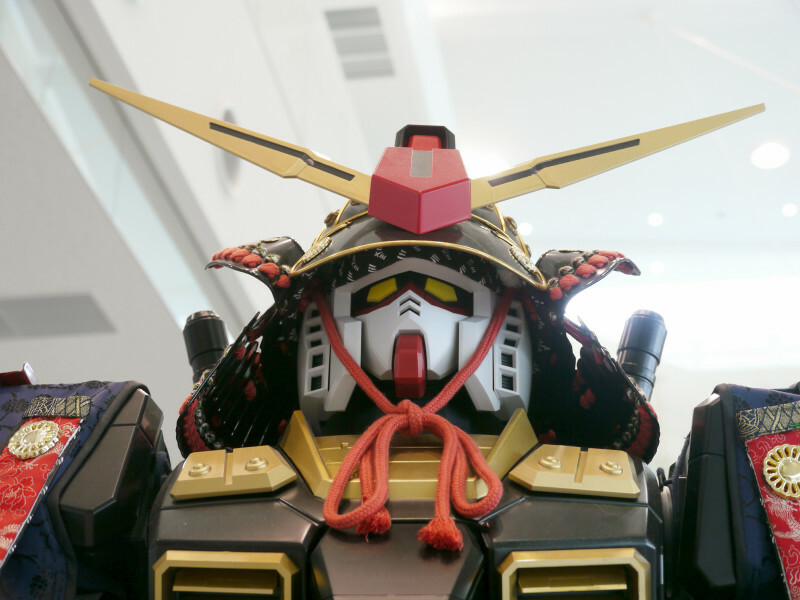 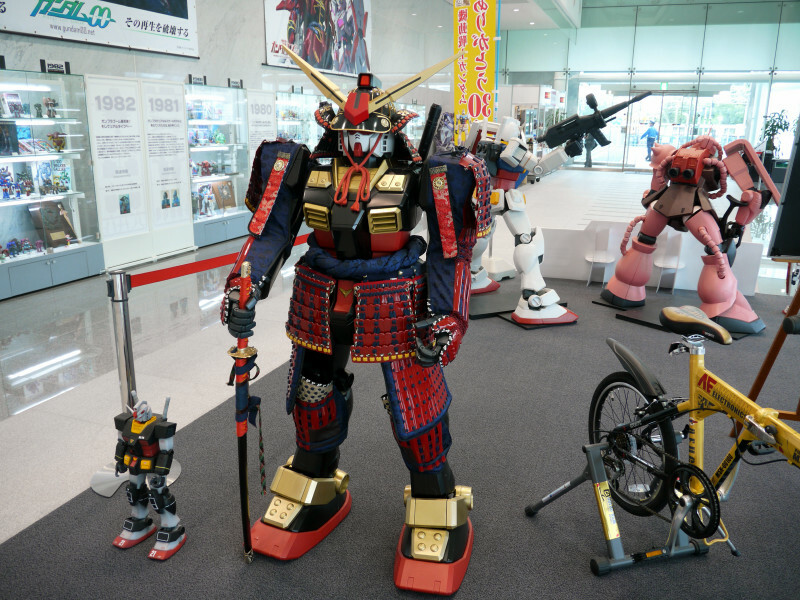 Next to a Gundam bicycle was a Gundam in samurai armour. 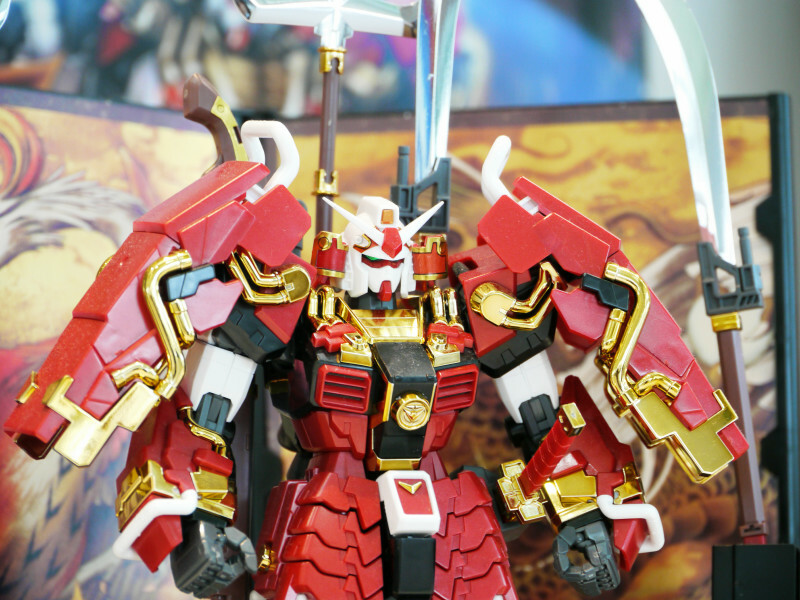 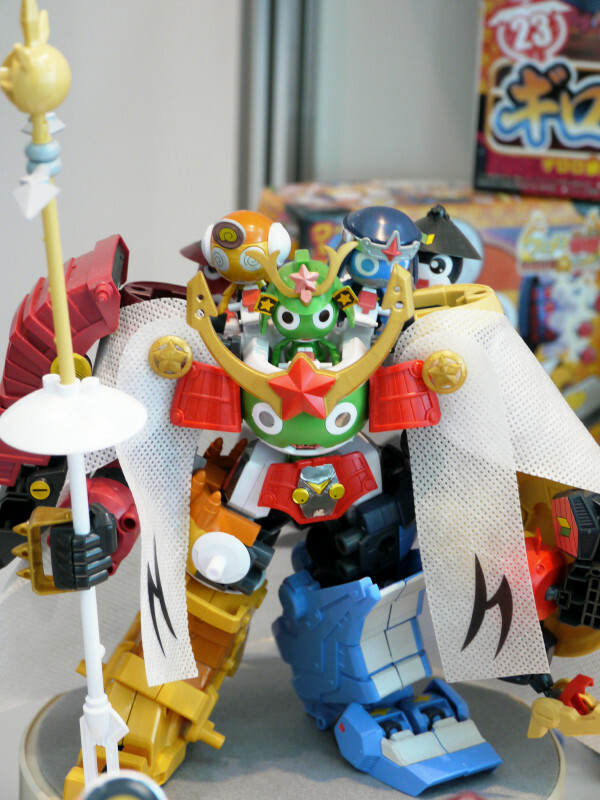 Larger version of Musha Gundam in SD Sengokuden super deformed Gundam model line. 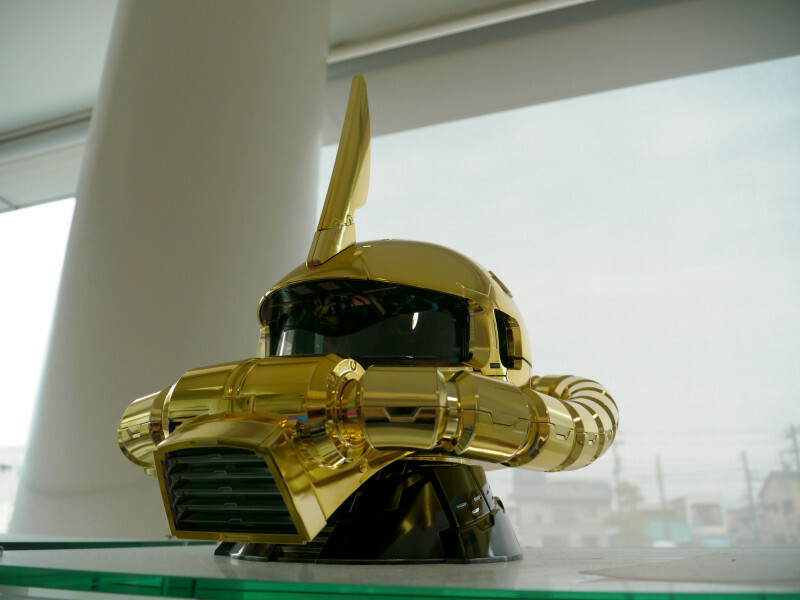 Look like real human-sized kabuto helmet. 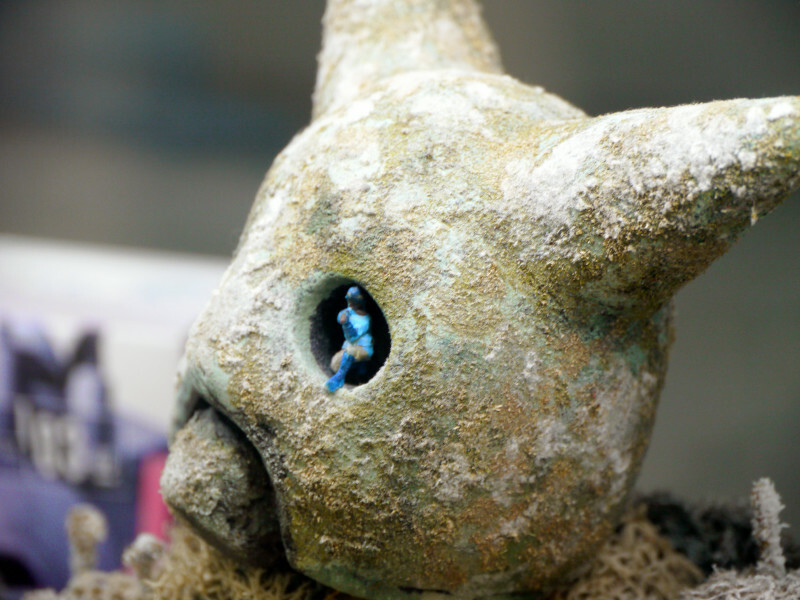 Is he able to see? 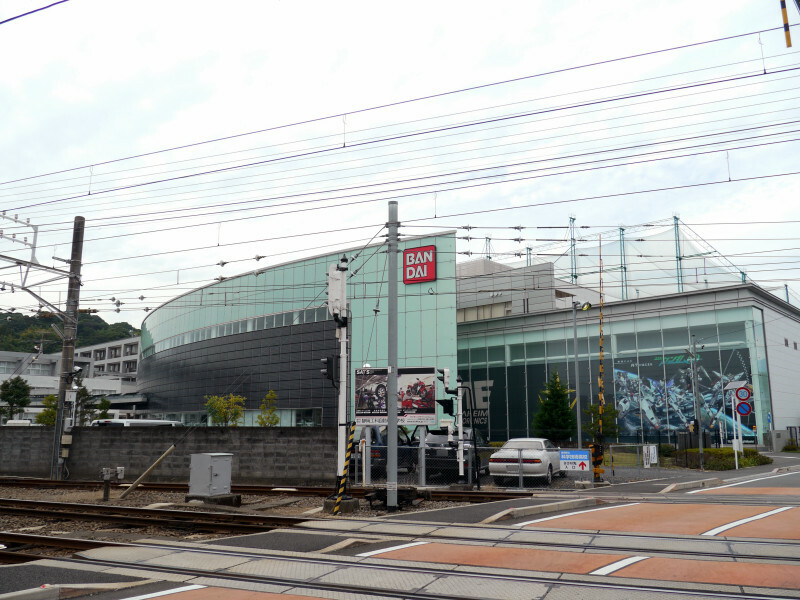 Sgt. 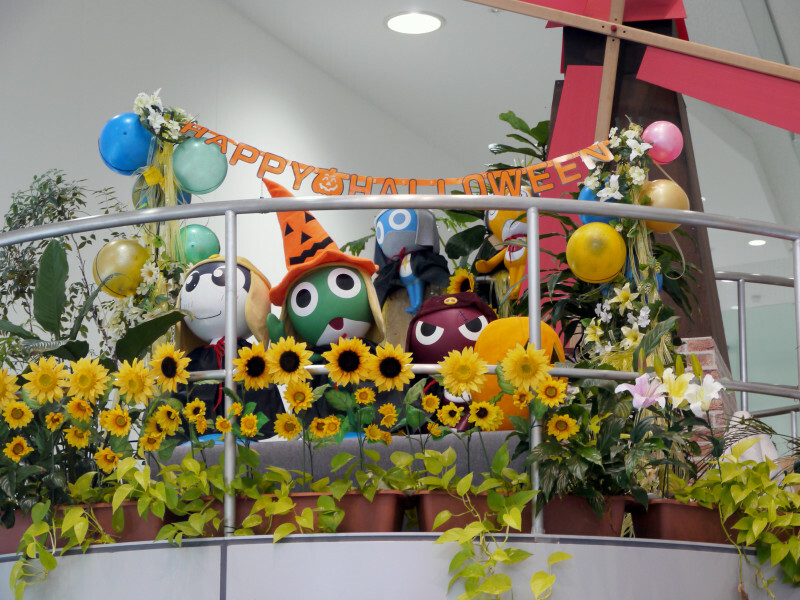 Frog Halloween decoration was stashed away upstairs. 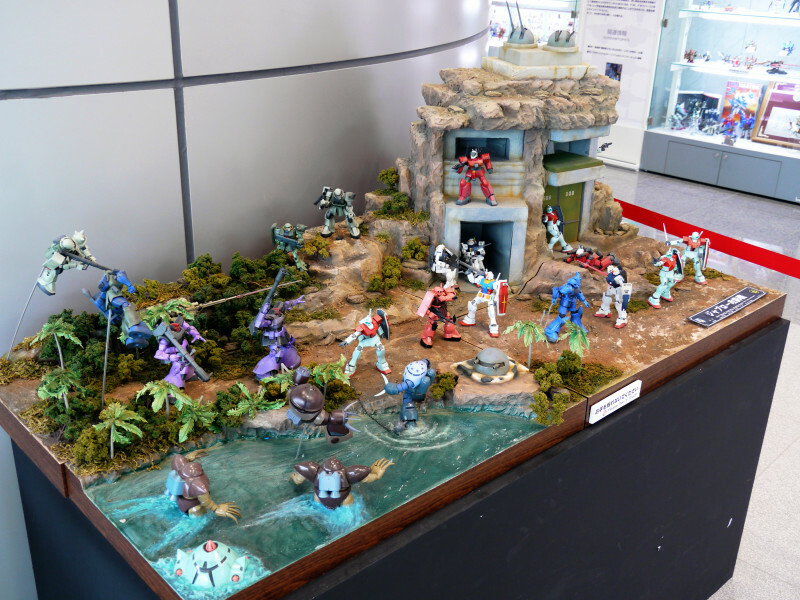 Diorama showing the Battle of Jaburo. 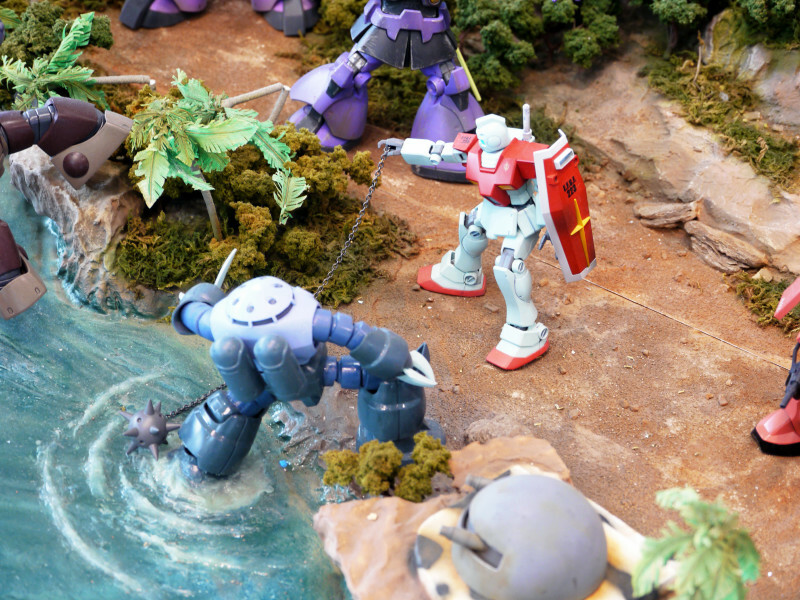 RGM-79 GM fending off Z'Gok. 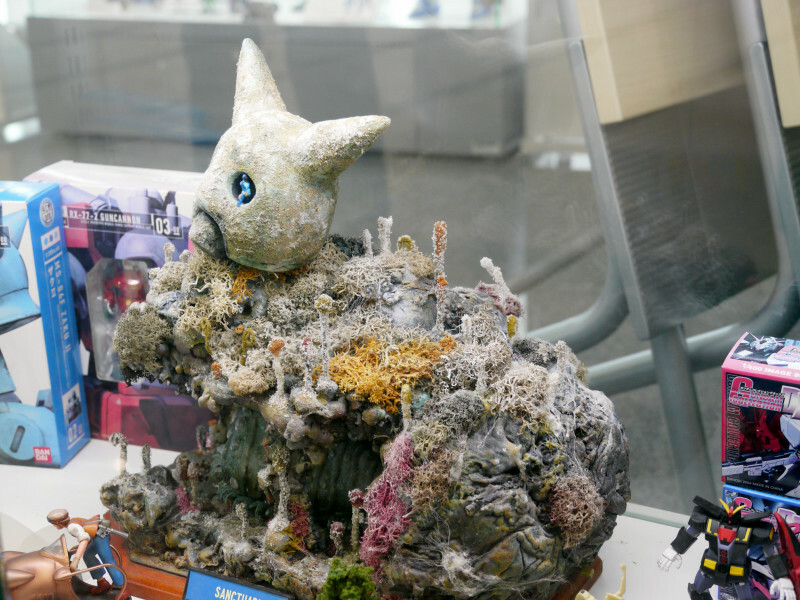 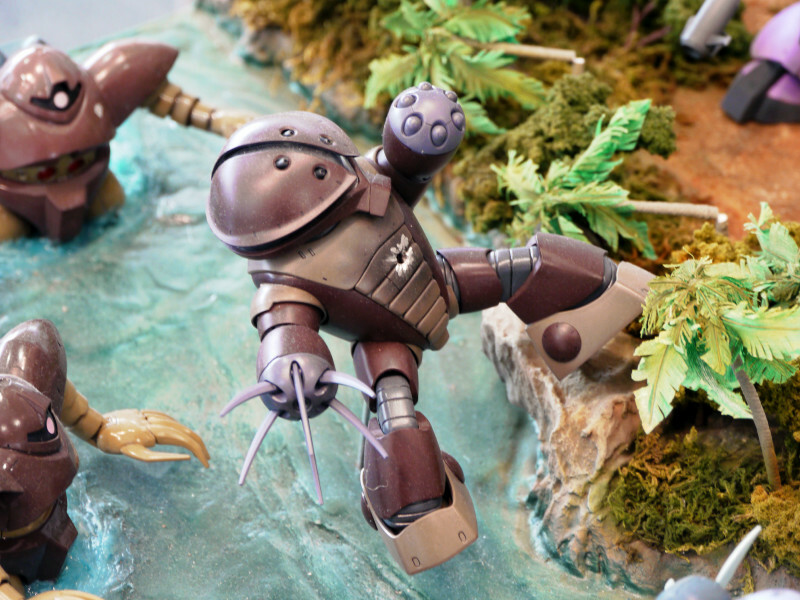 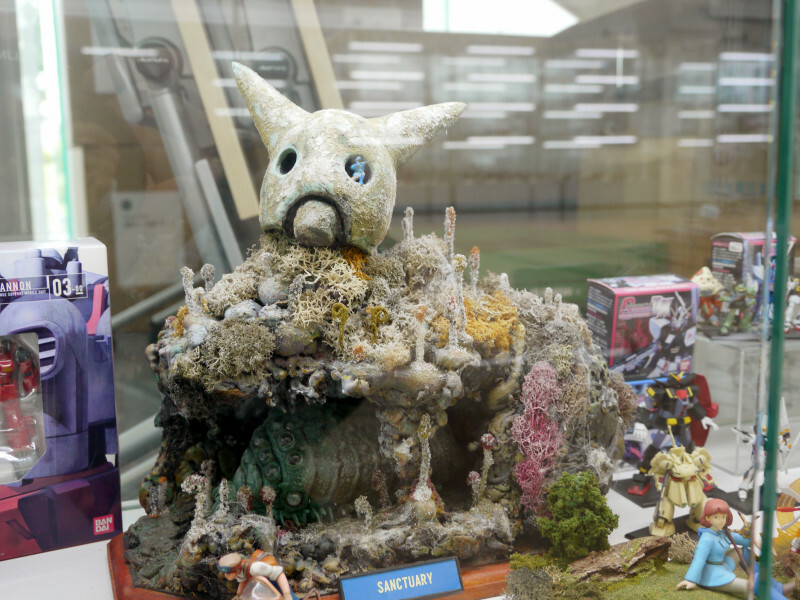 Diorama of Nausicaa of the Valley of the Wind. 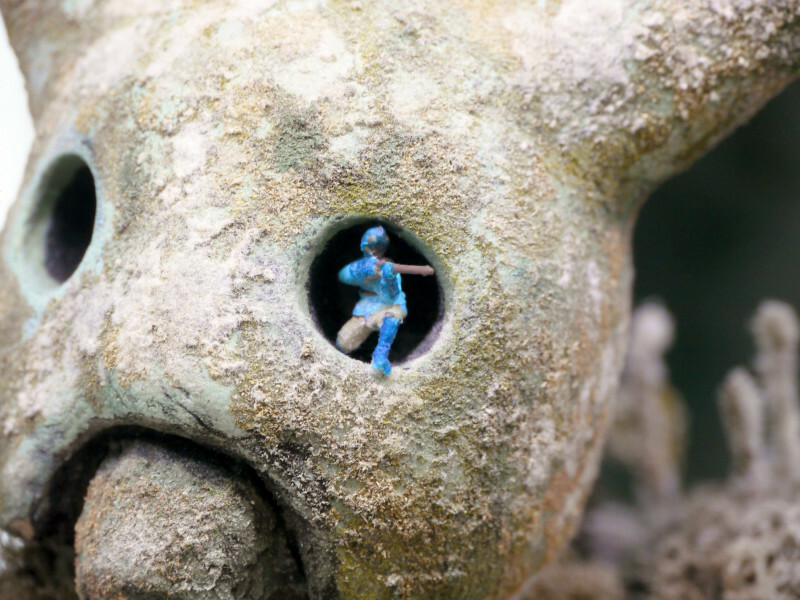 Nausicaa looking down from the eye socket of the corpse of a Giant Warrior. 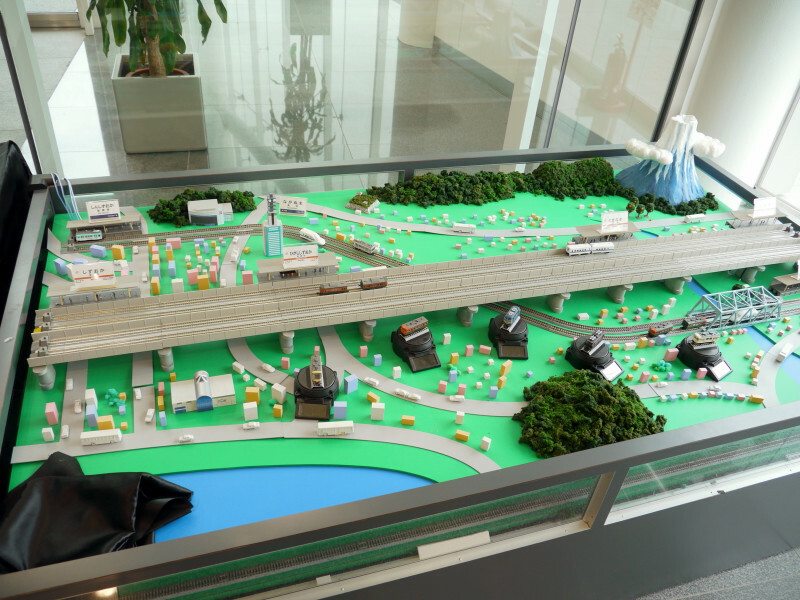 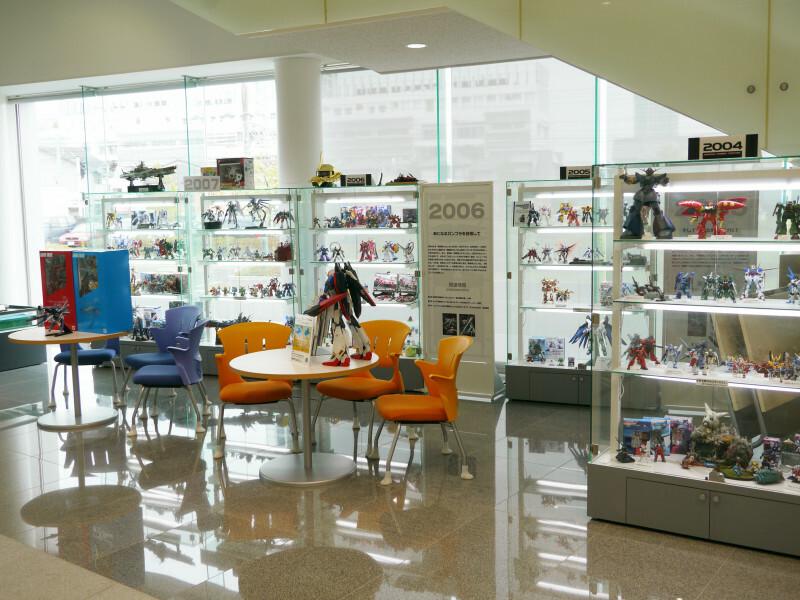 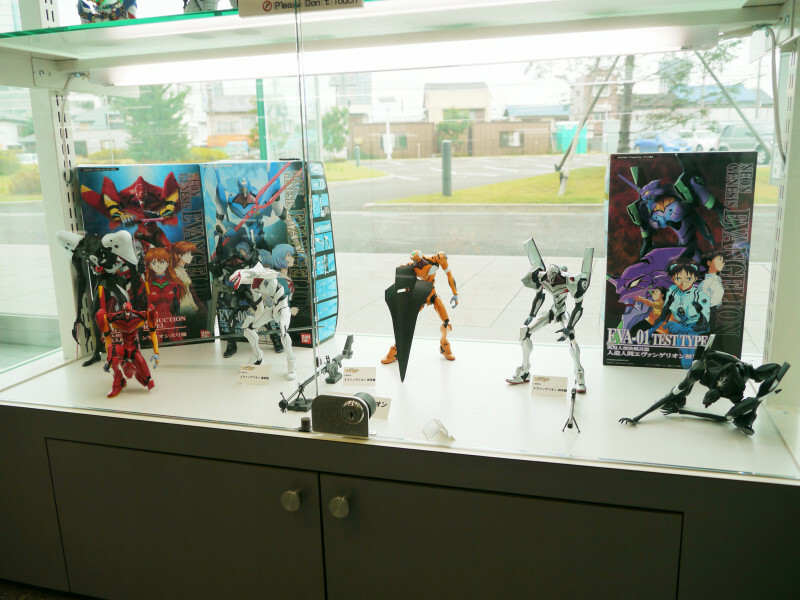 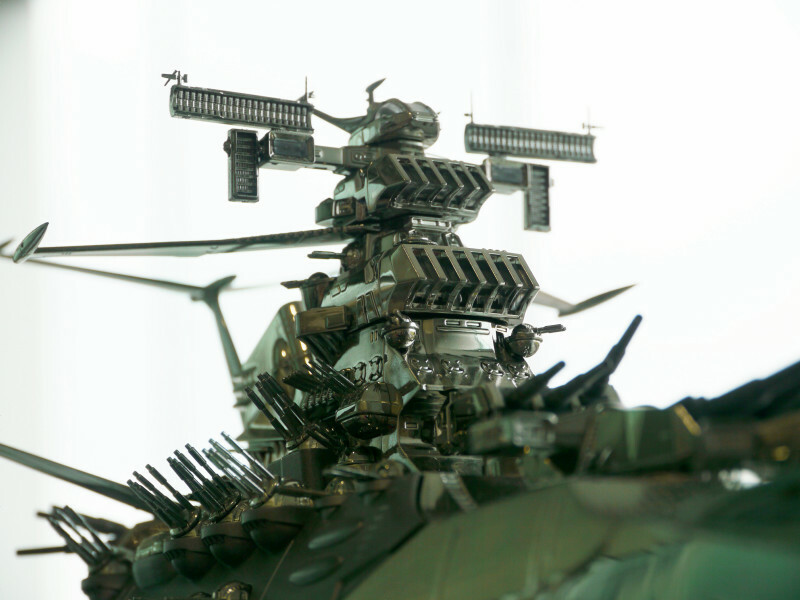 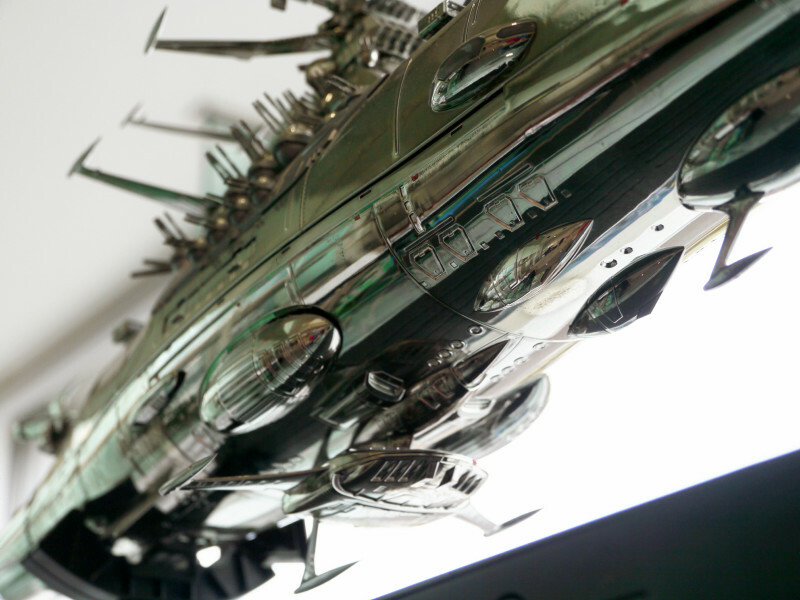 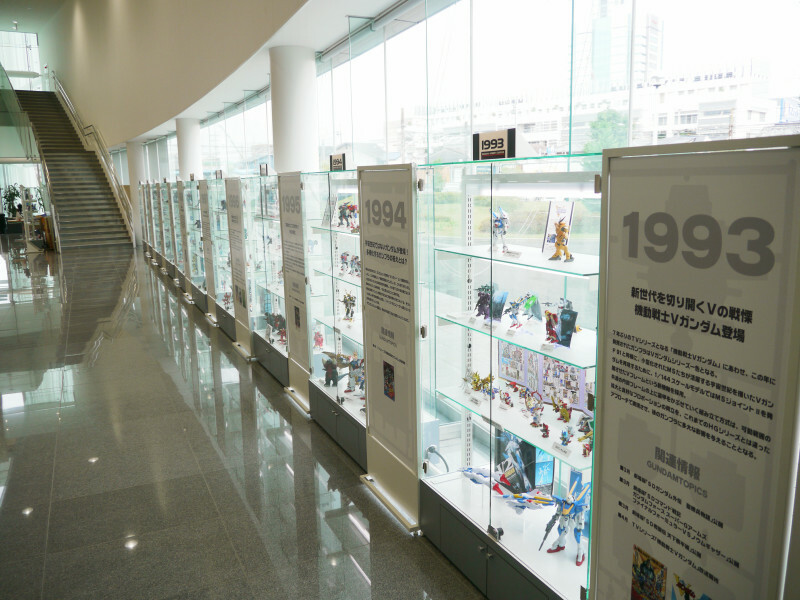 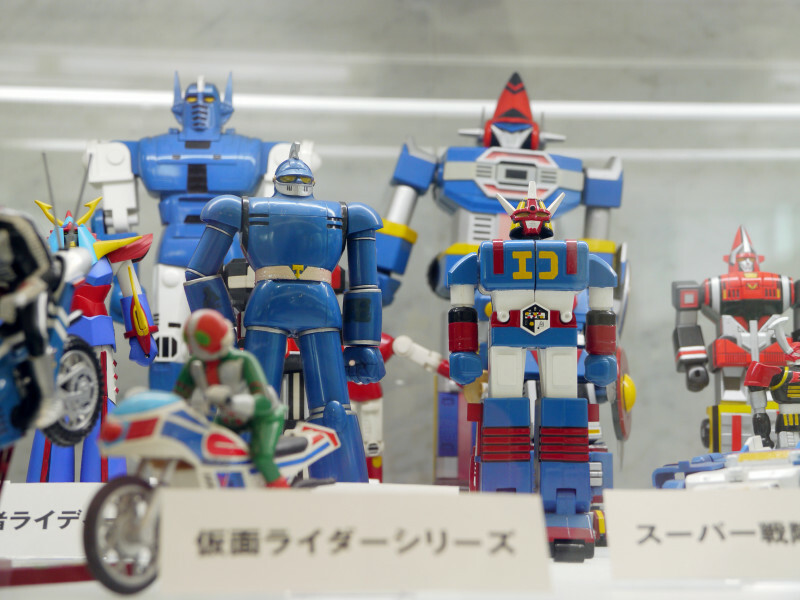 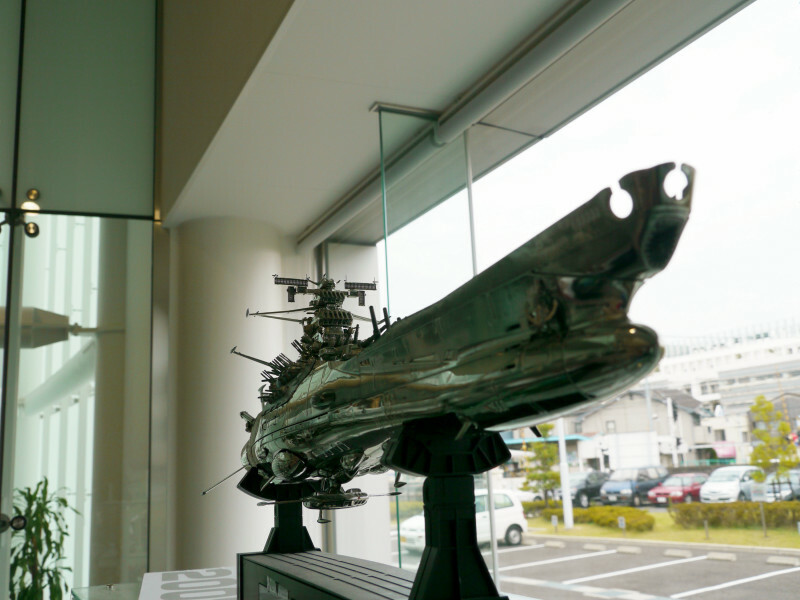 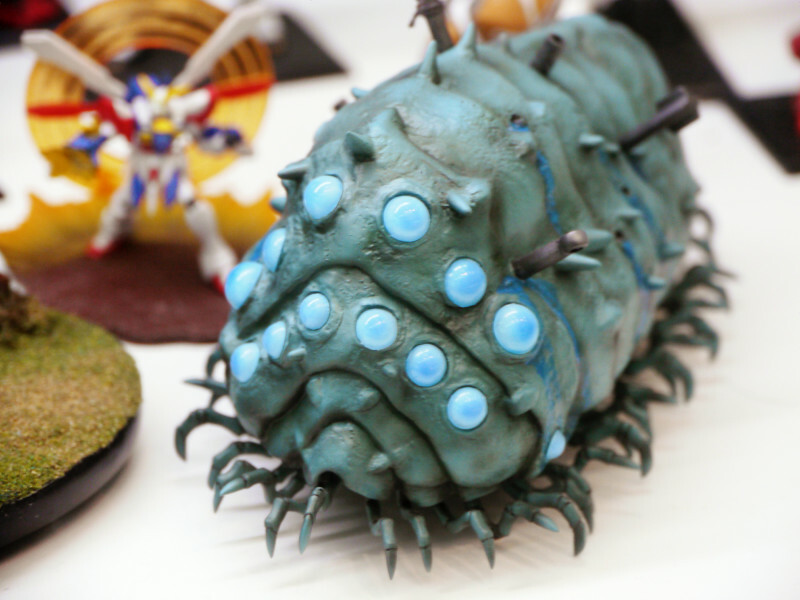 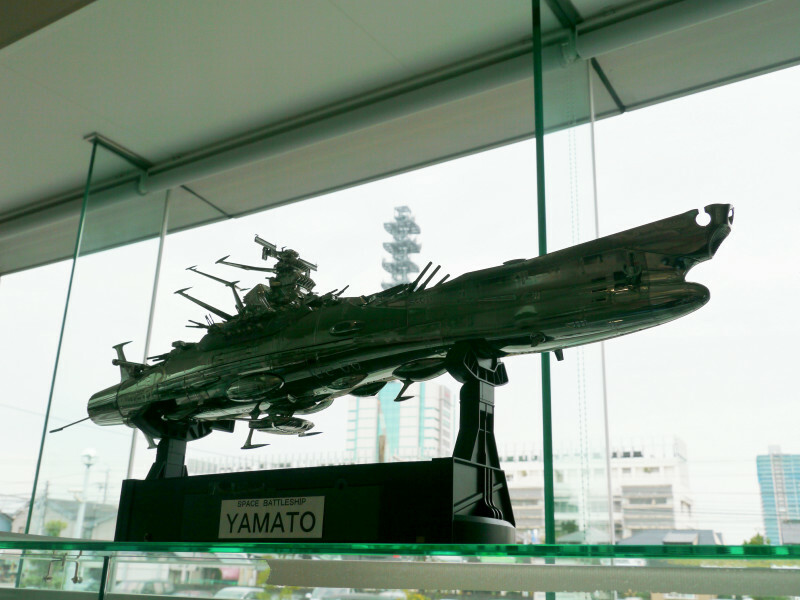 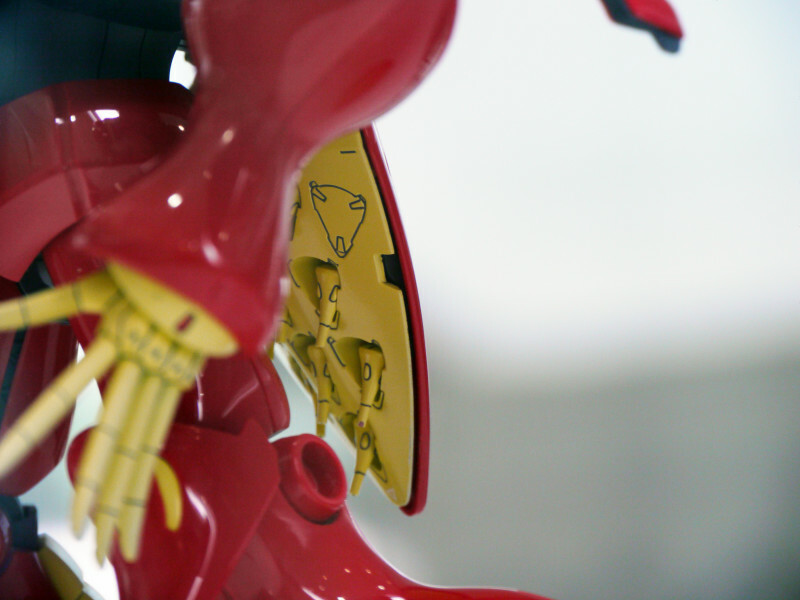 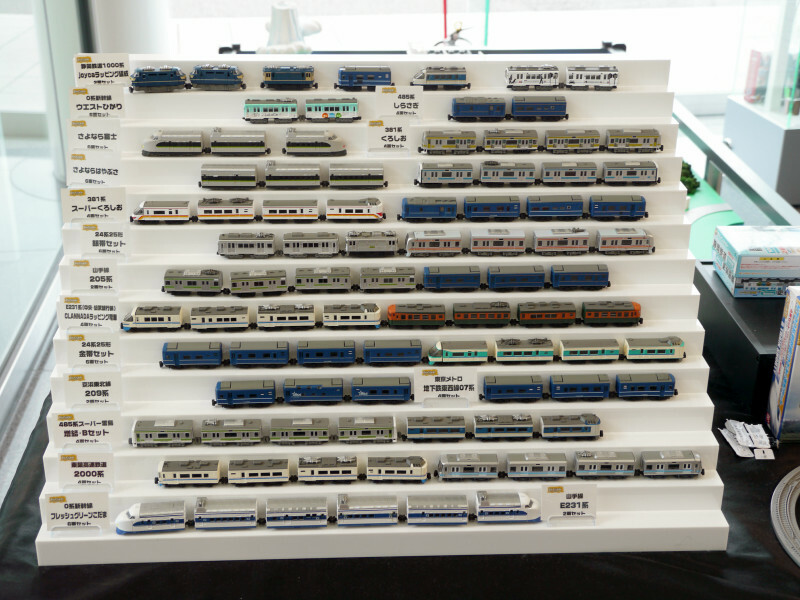 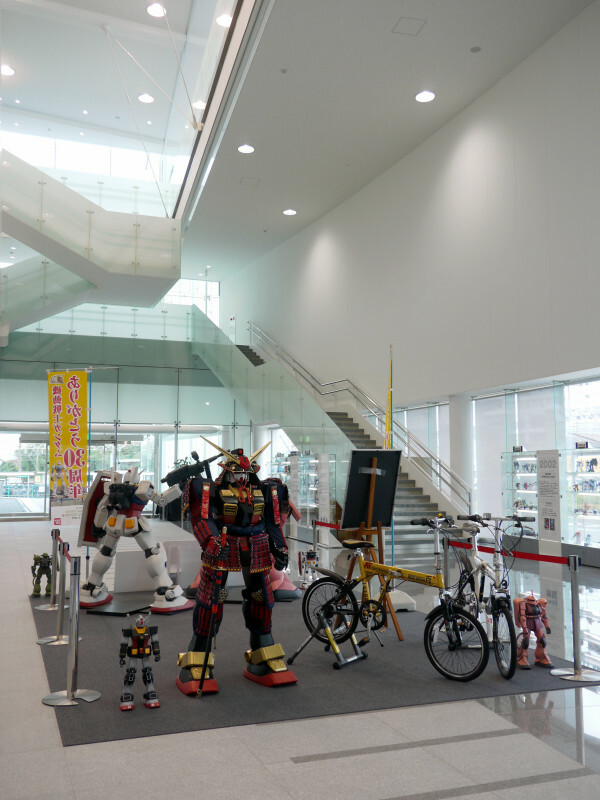 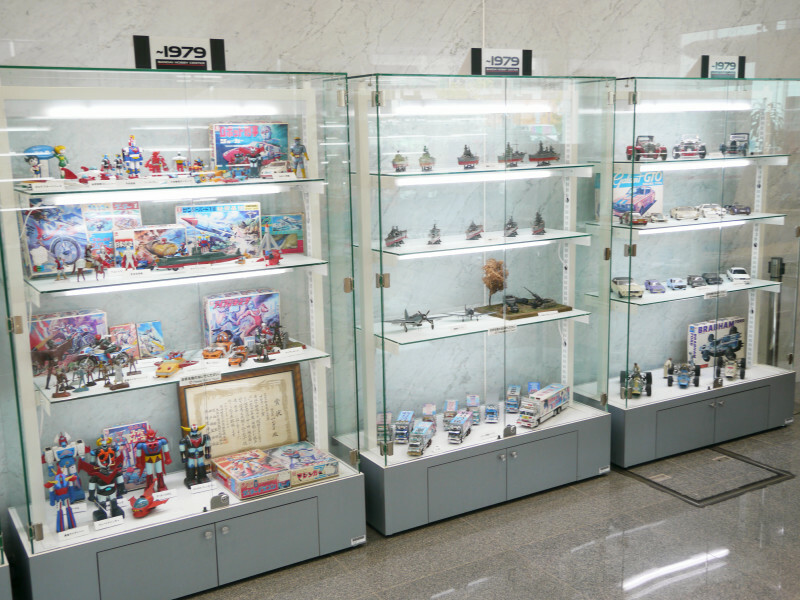 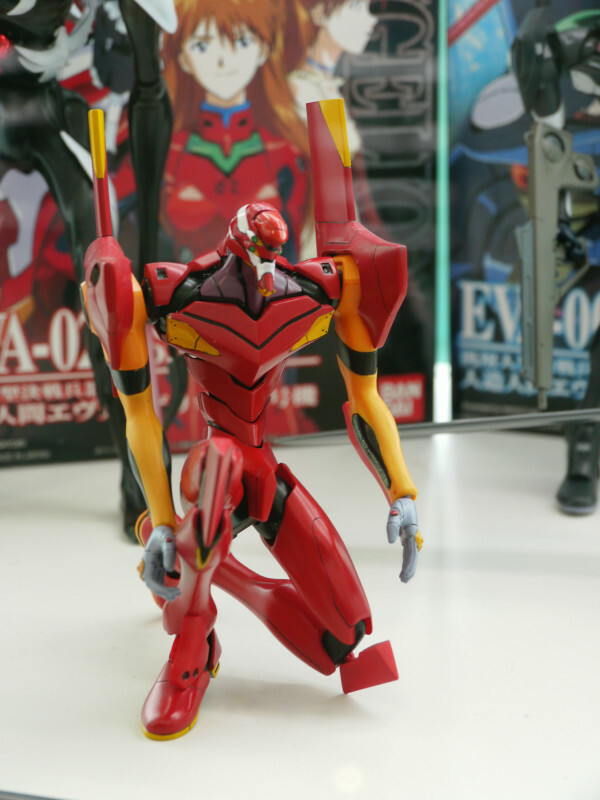 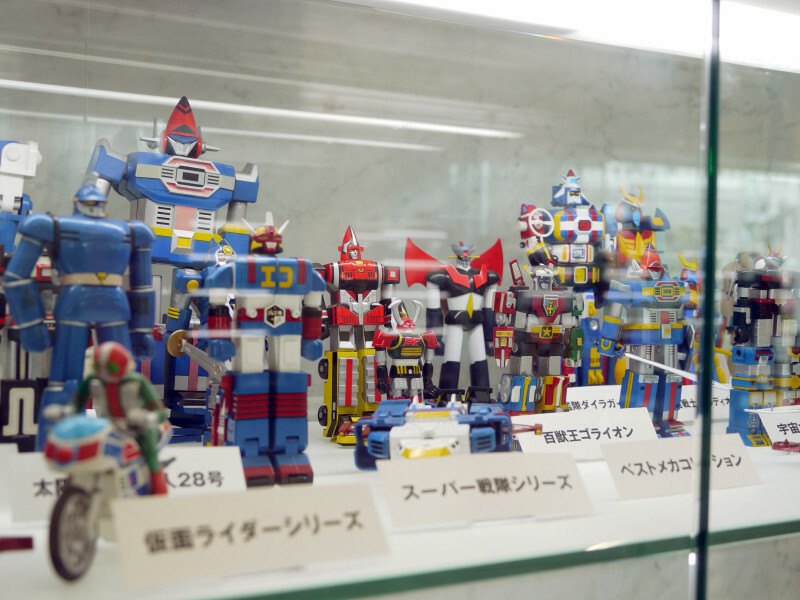 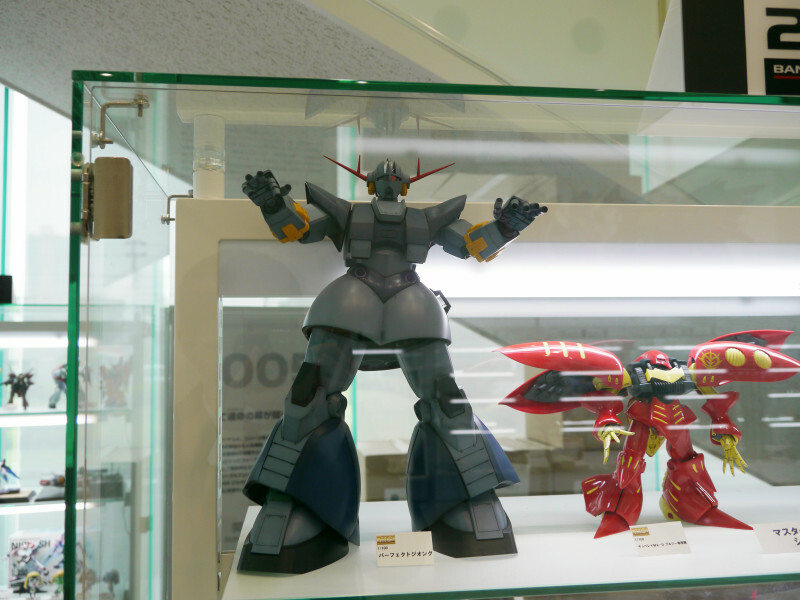 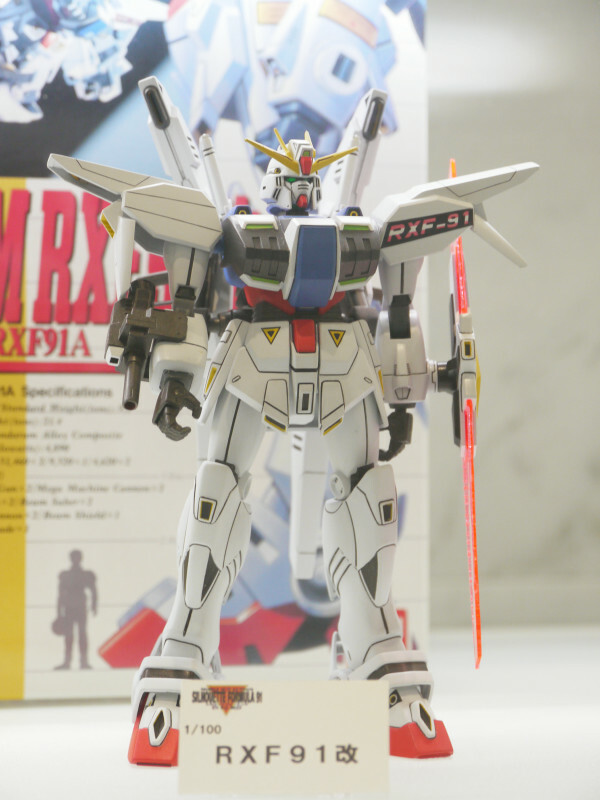 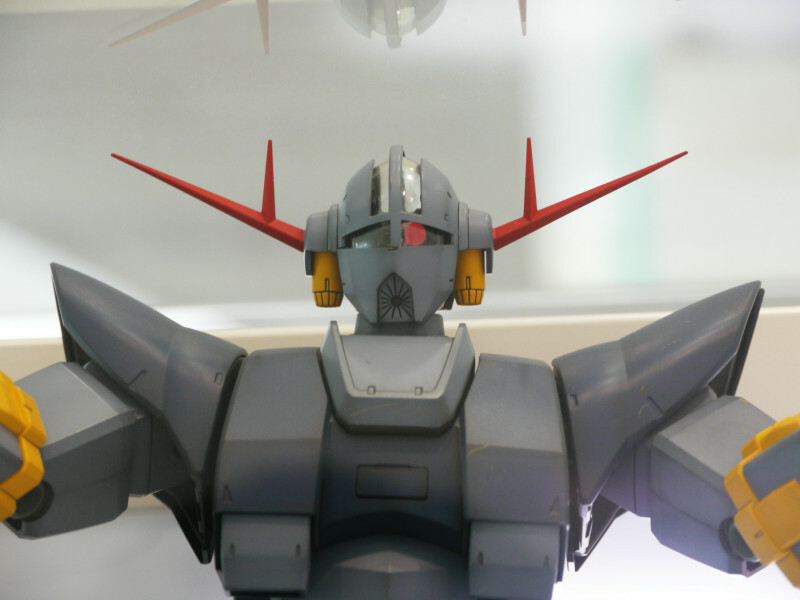 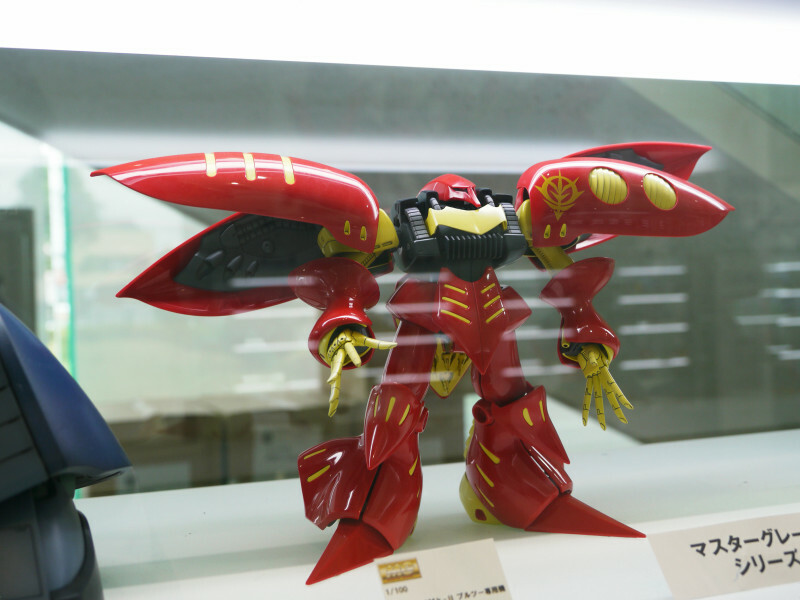 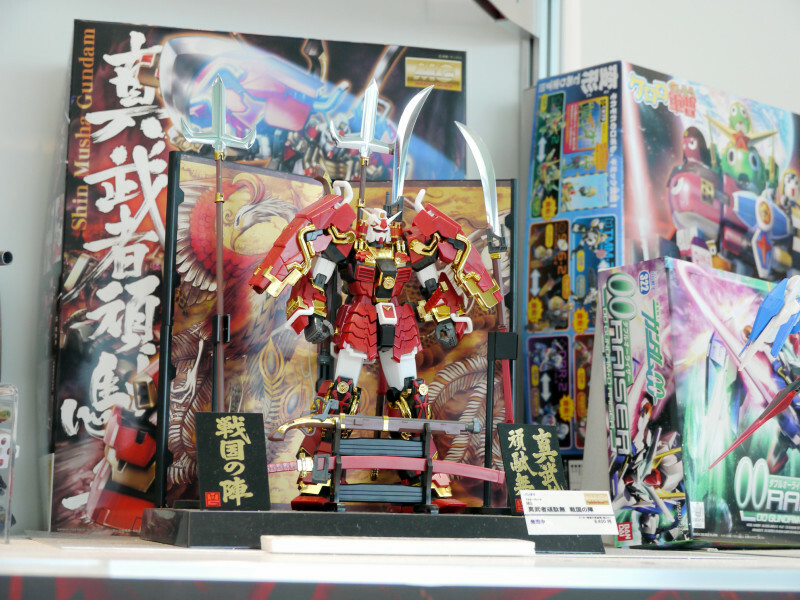 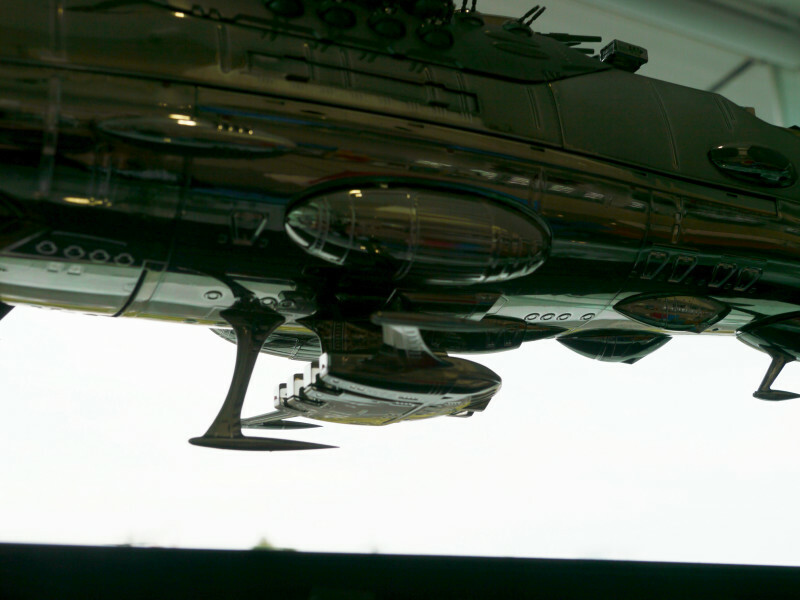 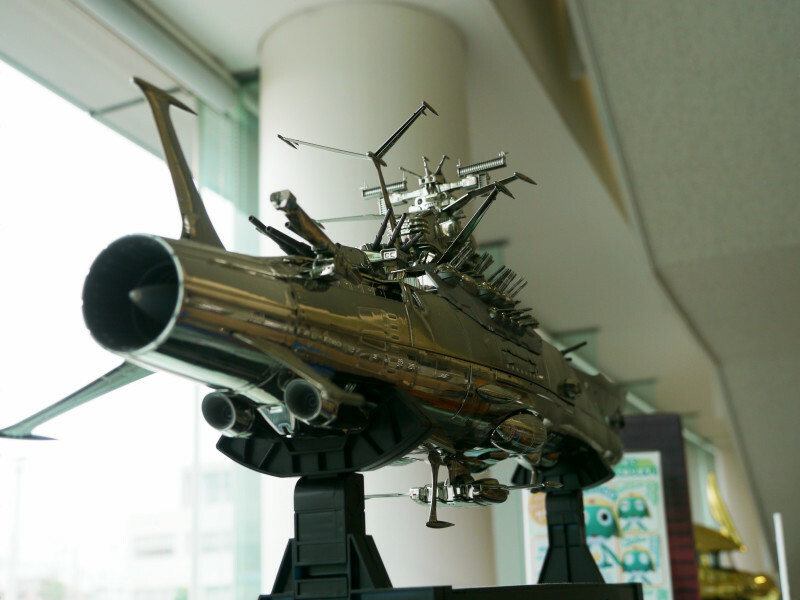 Collection of Bandai's plastic models from the past were on display by the surrounding walls. 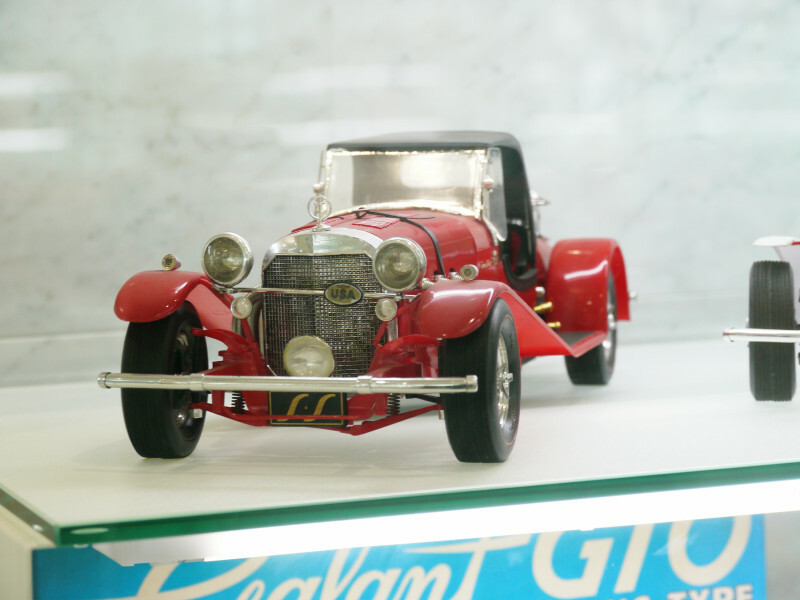 Classic model cars were a big part of Bandai's products back in the '70s. 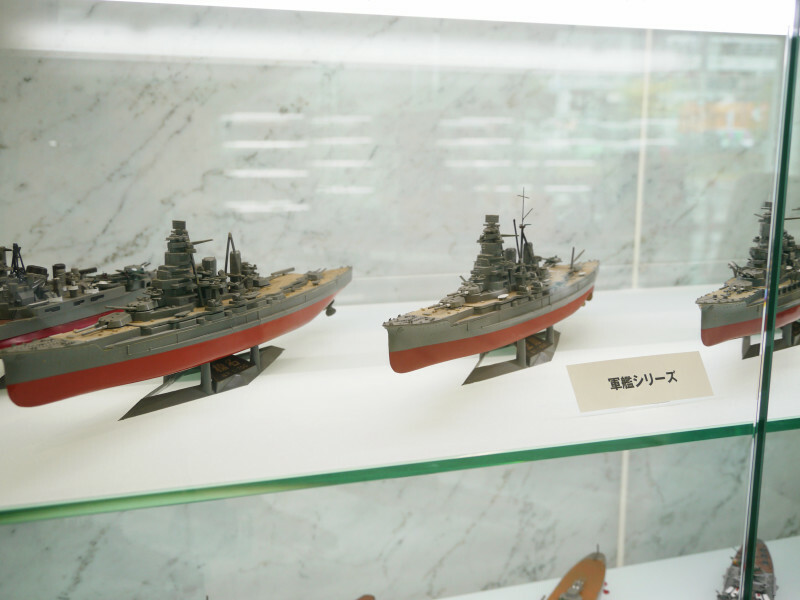 Models of war vessels in various scales. 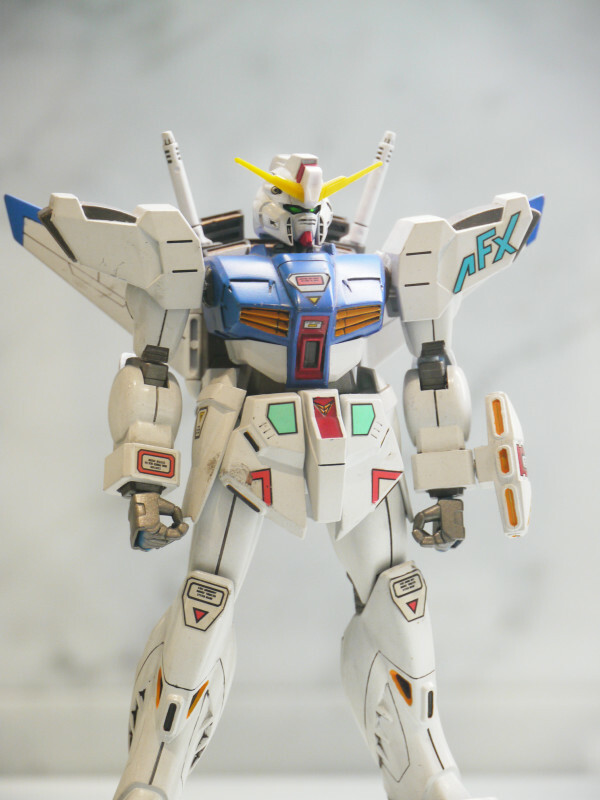 In 1980, the very first Gunpla came out. 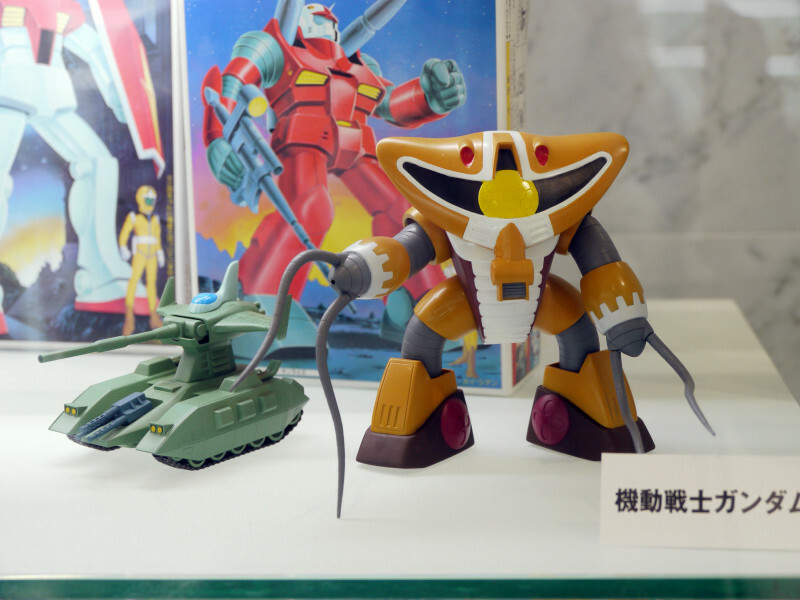 Magella attack tank and MSM-04 Acguy. 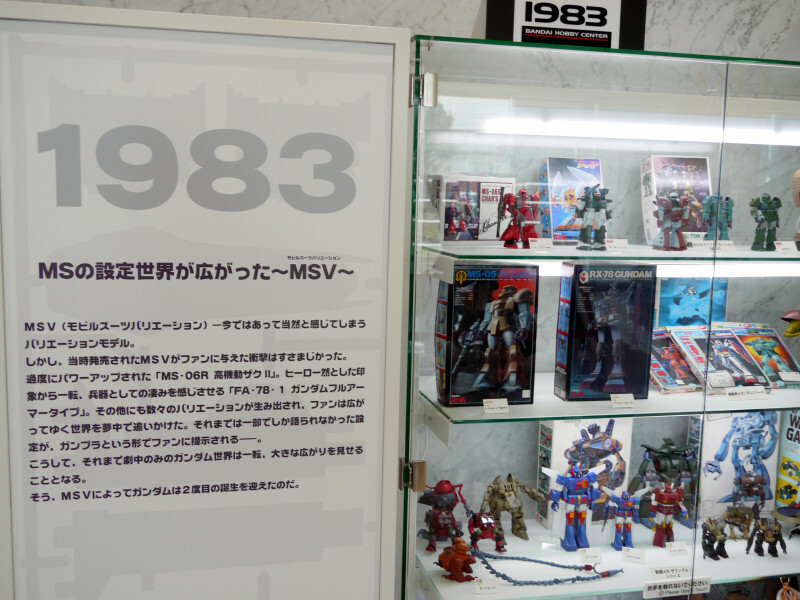 In 1983 the MSV(Mobile Suit Variation) series plastic models of custom and prototype mobile suits were introduced. 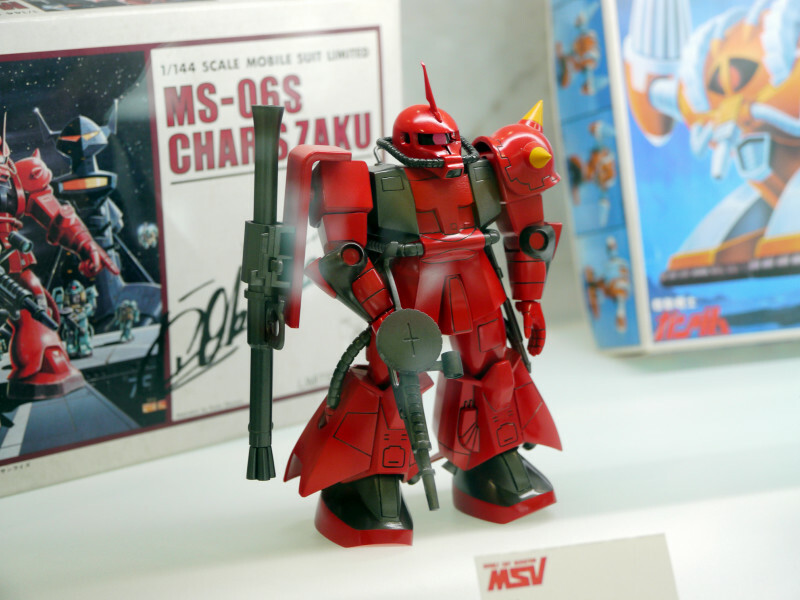 This crimson red Zaku with yellow epaulettes looks like Johnny Ridden's custom model, but the box behind it was of Char's Zaku. 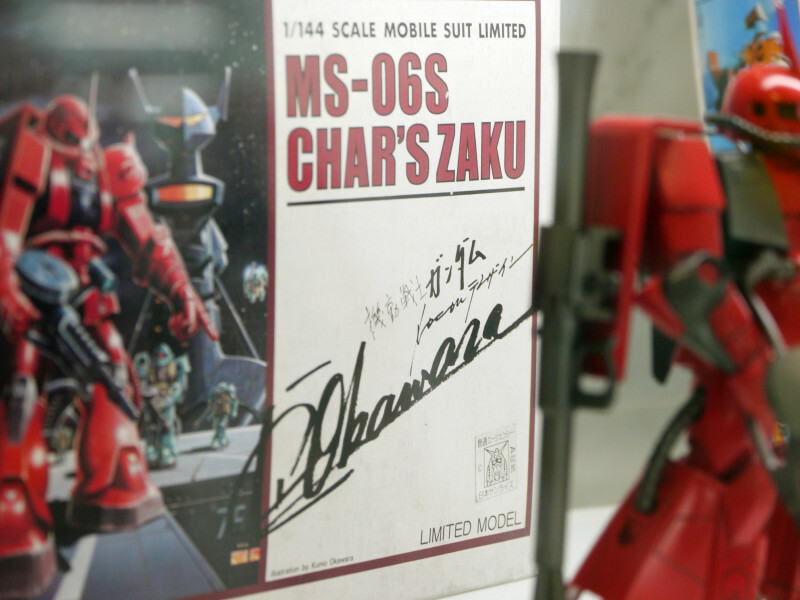 Autographed by mechanical designer Kunio Okawara. 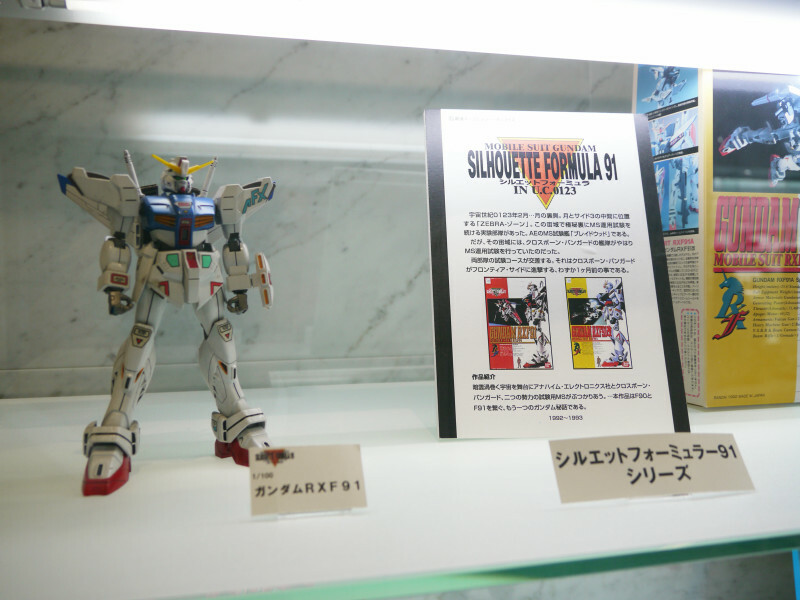 "Silhouette Formula" series of 1992 was based on the anime film Mobile Suit Gundam F91. 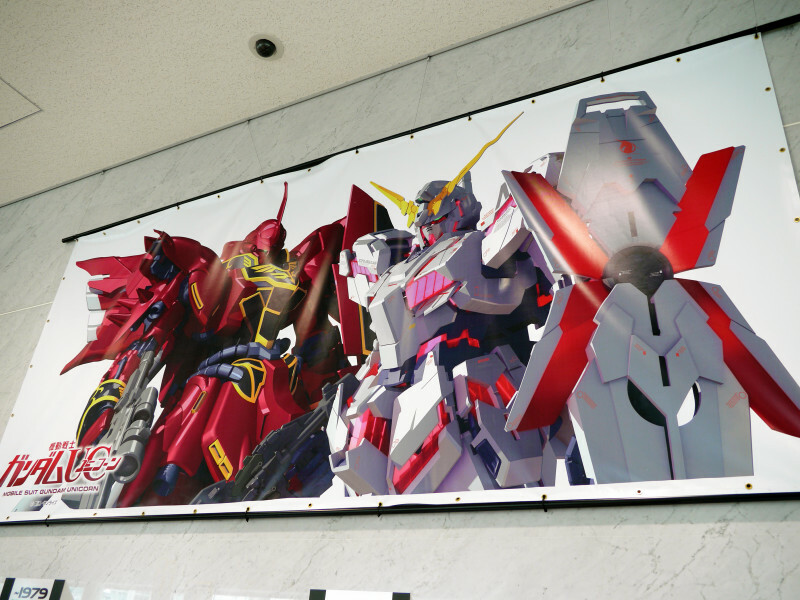 The description board says "RXF91" but it's actually RX-99 Neo Gundam on display, according to our tour guide. 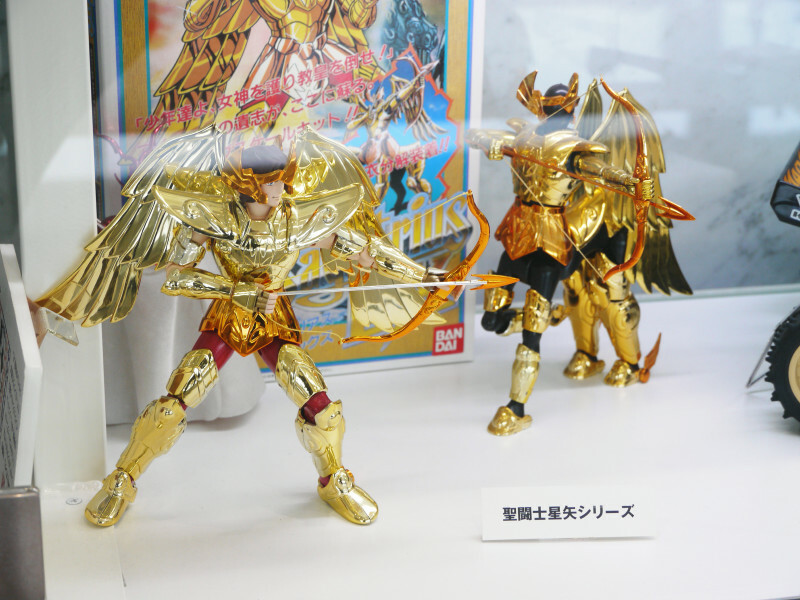 Bandai's also been producing Saint Seiya action figures for long. 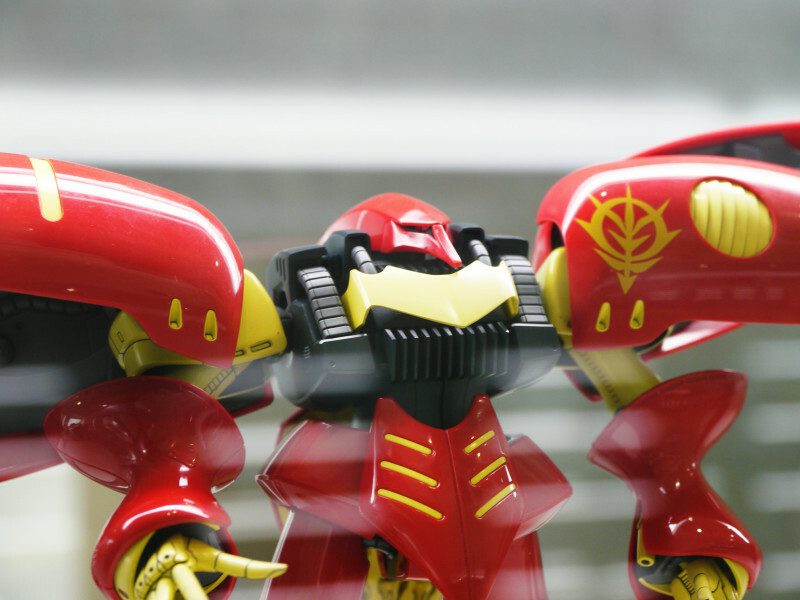 Puru Two's custom Qubeley mk-II in Bandai's "Master Grade" Gunpla line. 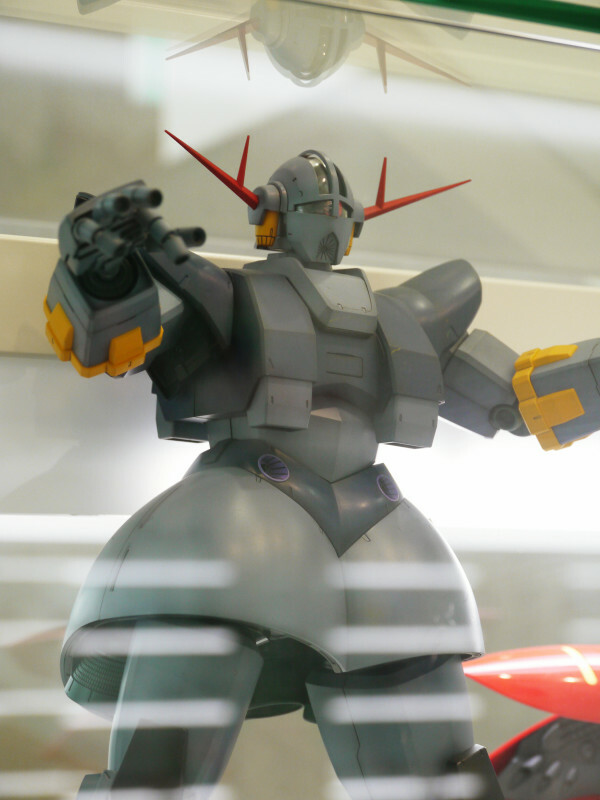 Its original appearance in Mobile Suit Gundam was still huge without the legs. 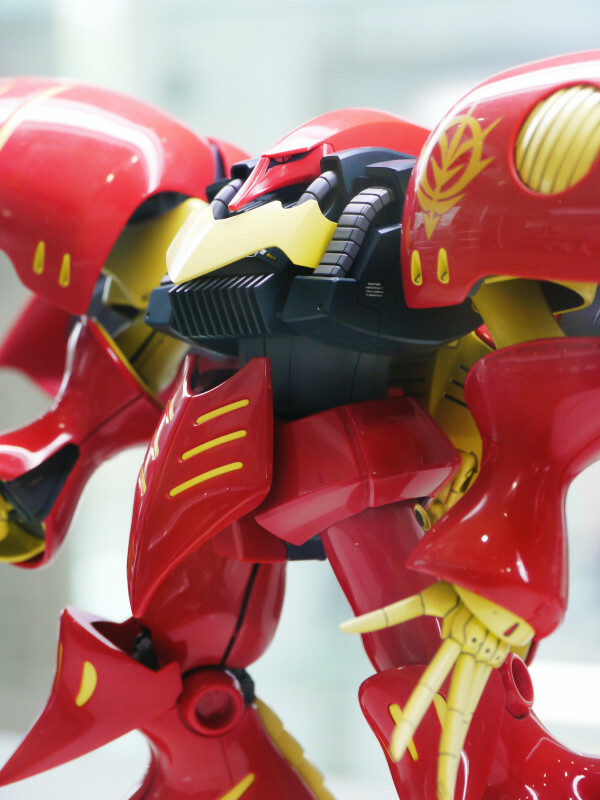 Legged, a Zeong will tower over Qubeley. 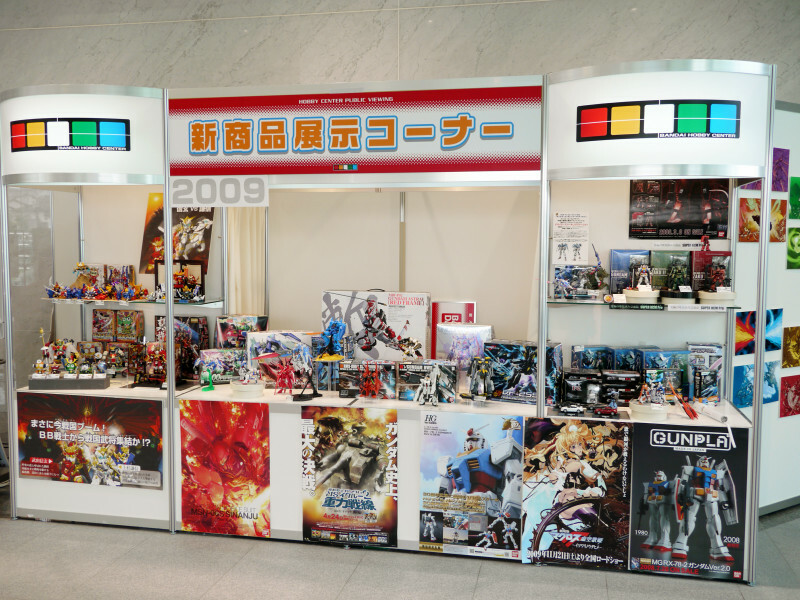 These are the products released in 2009. 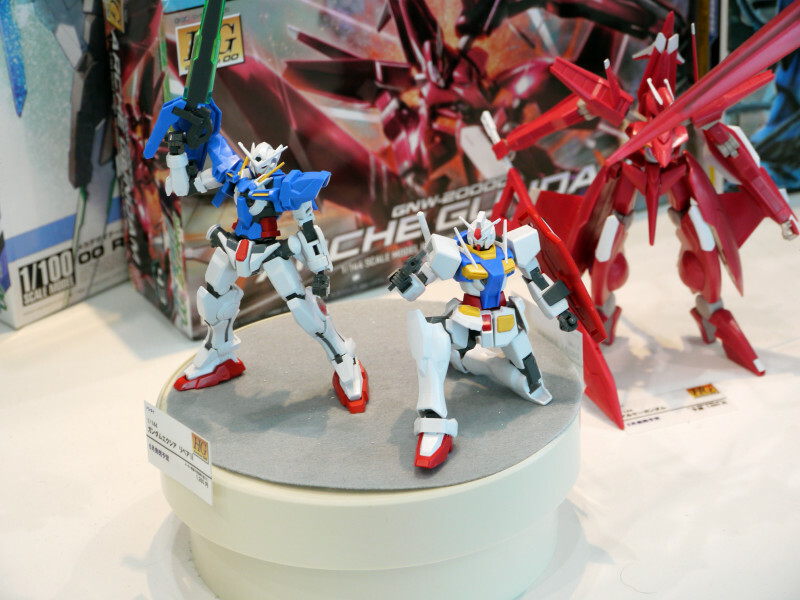 Gundam Exia and 0 Gundam. 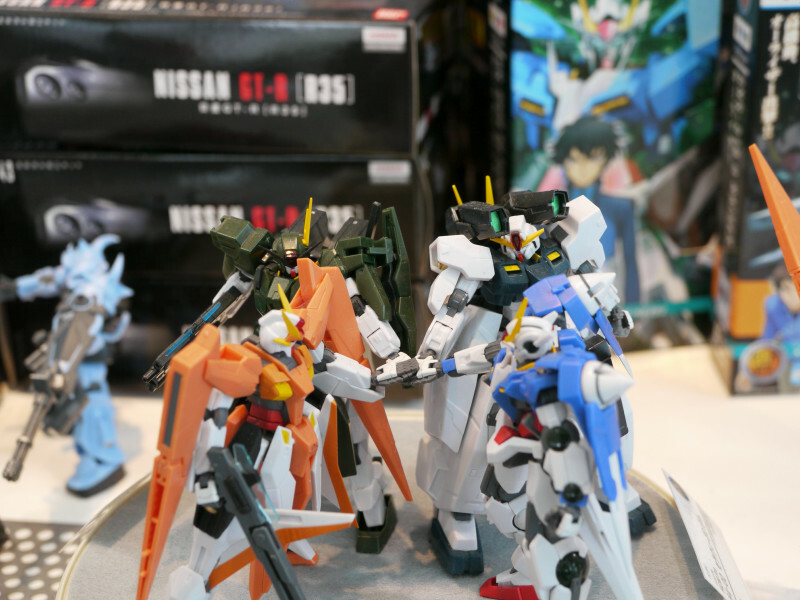 Four Gundams from Mobile Suit Gundam 00. 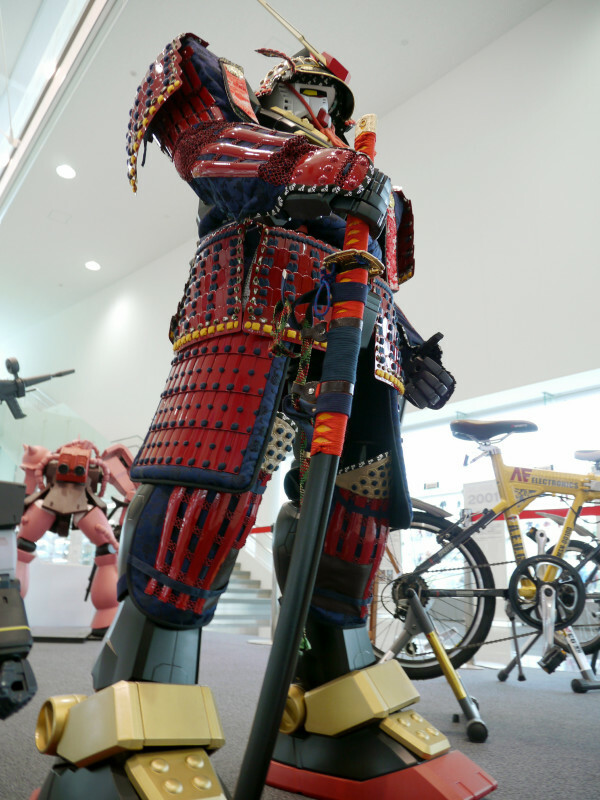 Sgt. 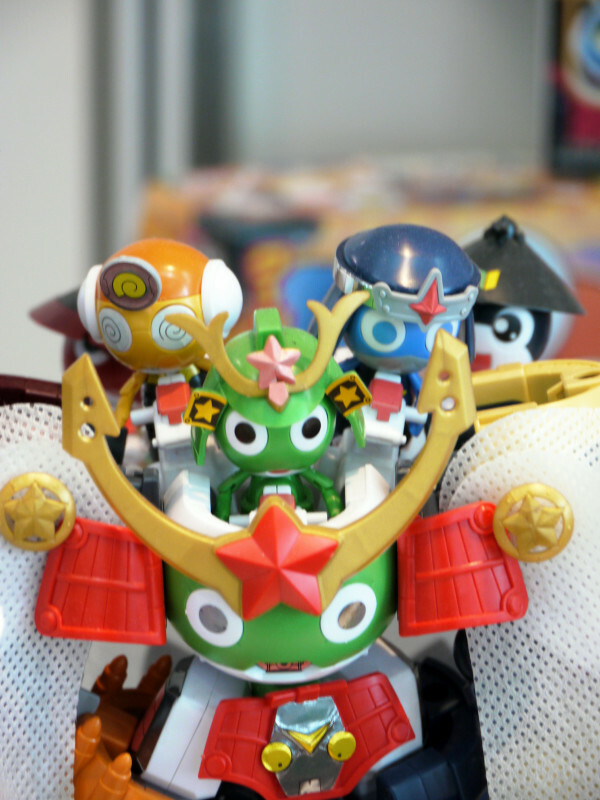 Keroro and his subordinates. 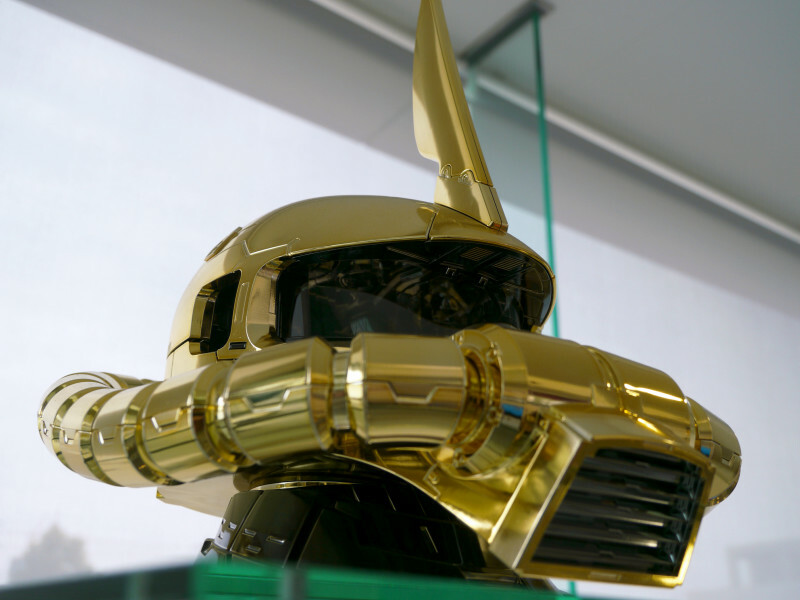 Unfortunately, you can't wear this as a helmet. 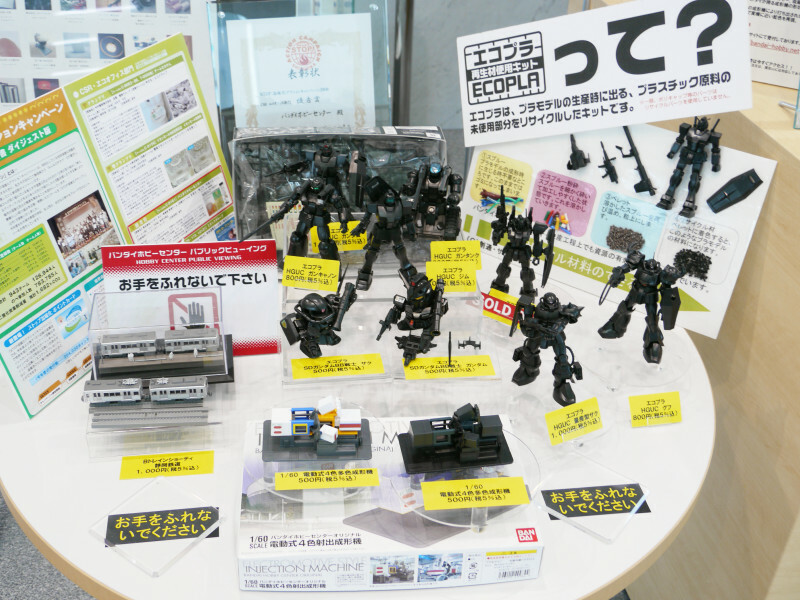 Ecopla line made of recycled plastic. 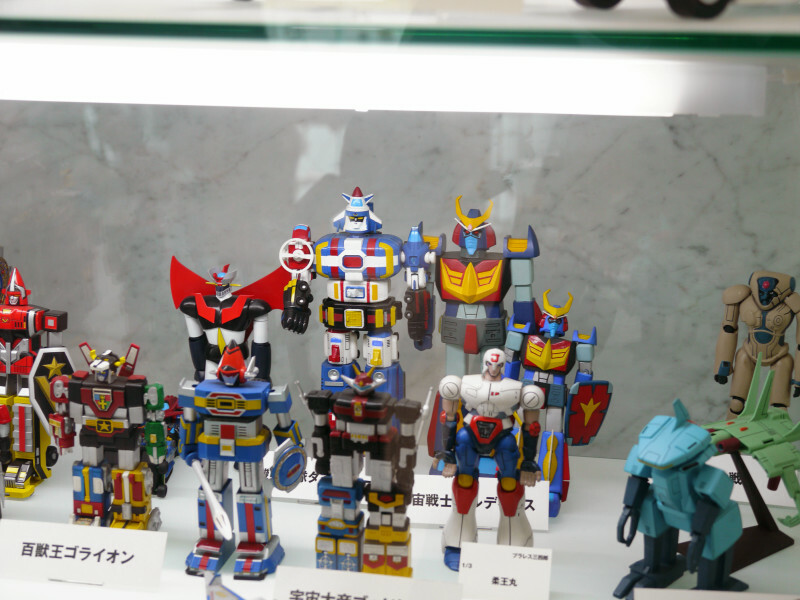 These strange looking plastic models were standing out from the others. 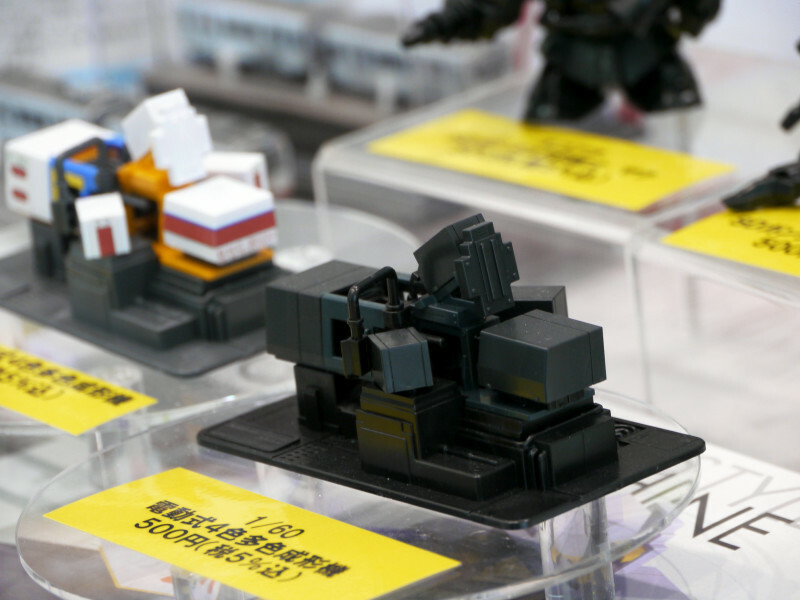 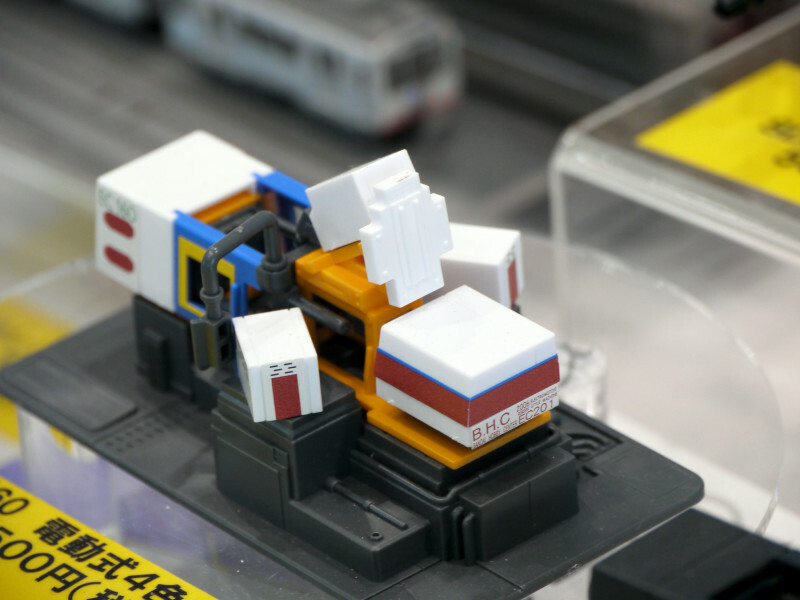 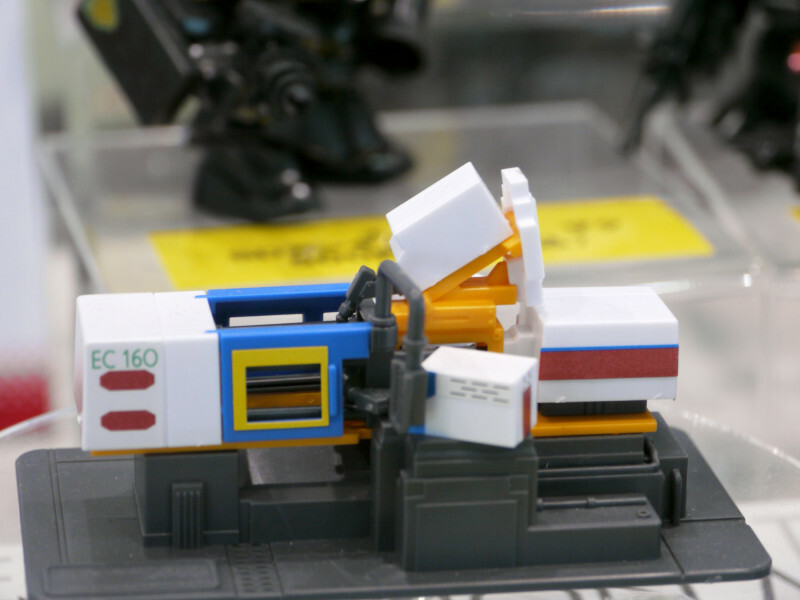 Apparently, these are 1/60 scale models of an injection molding machine in Bandai's factory. 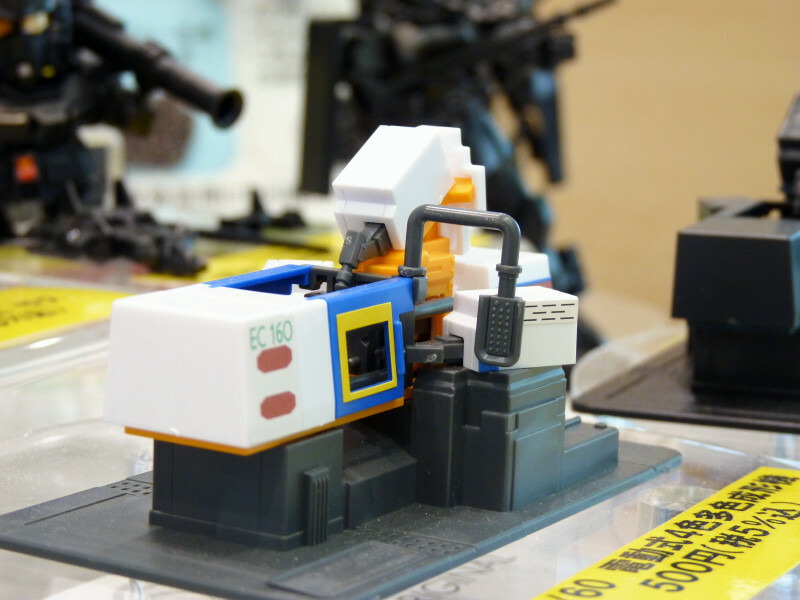 So the machine managed to mold plastic models of itself. 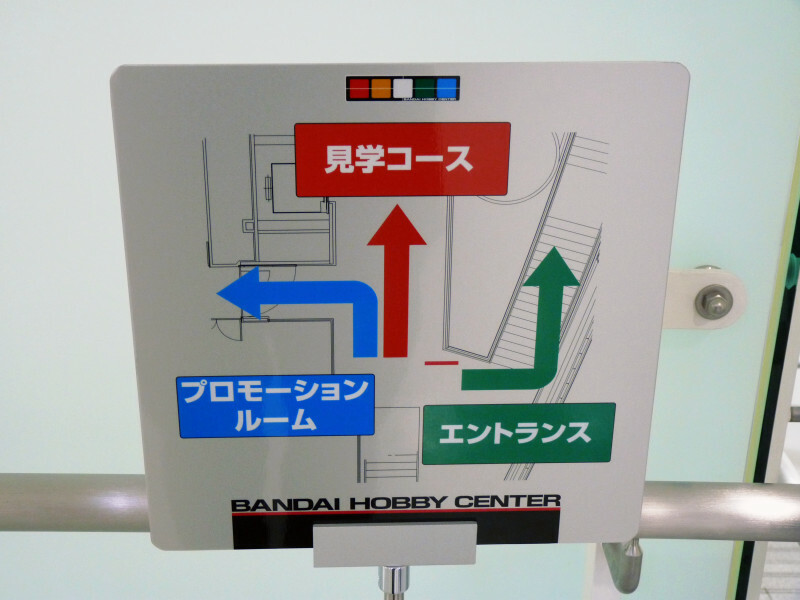 The tour will continue upstairs. 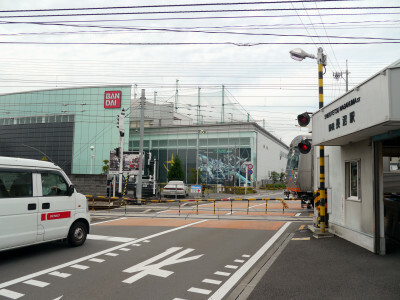 The factory used to welcome visitors for scheduled tours but it hasn't been since September, 2009. 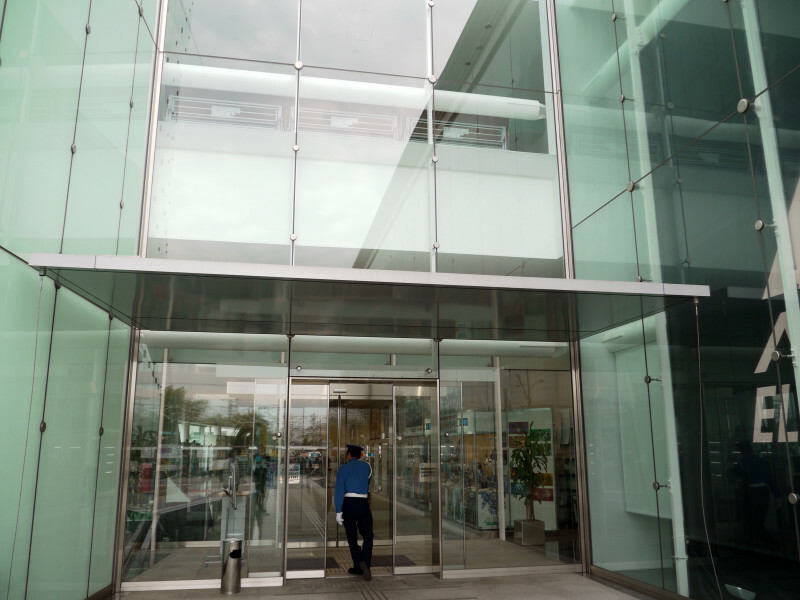 When the tours reopen, the schedule will be posted on their website.